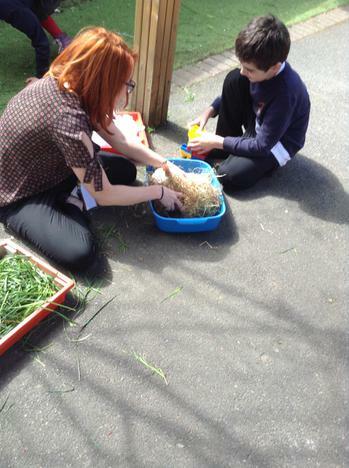 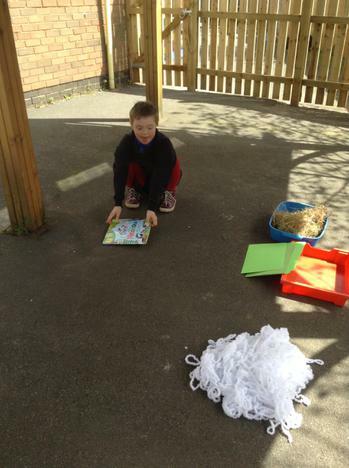 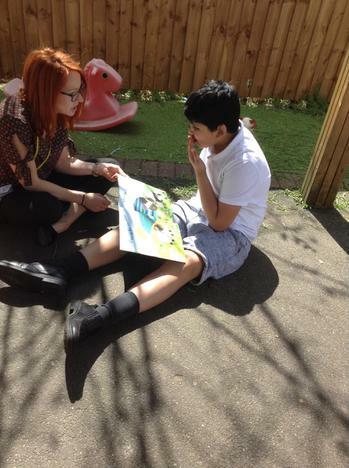 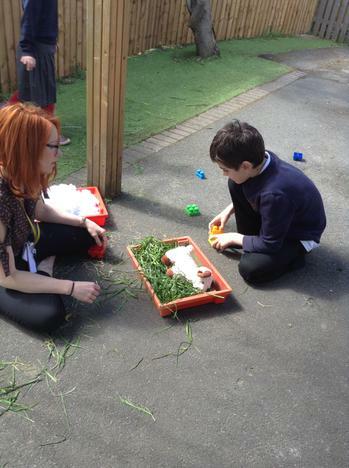 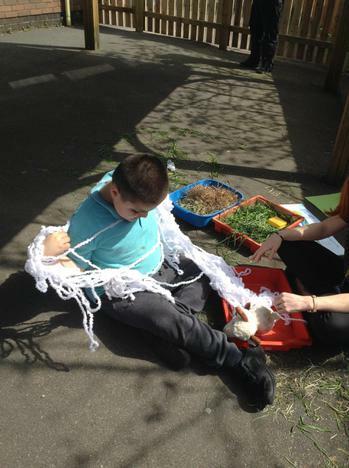 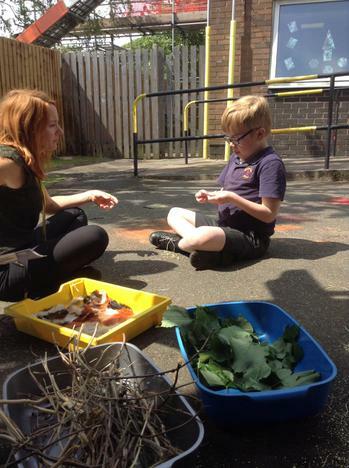 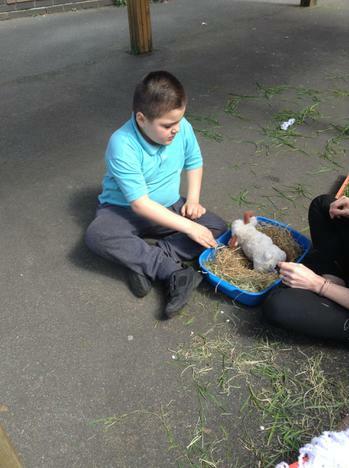 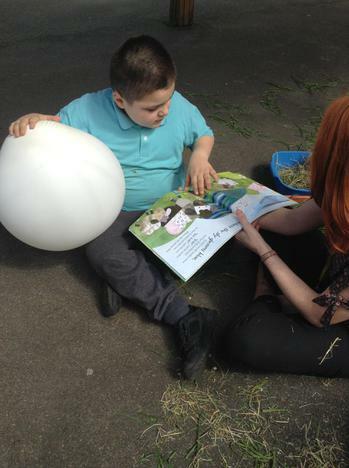 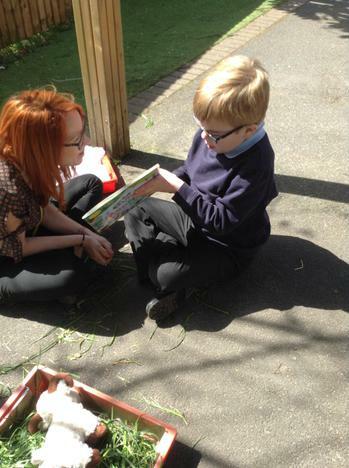 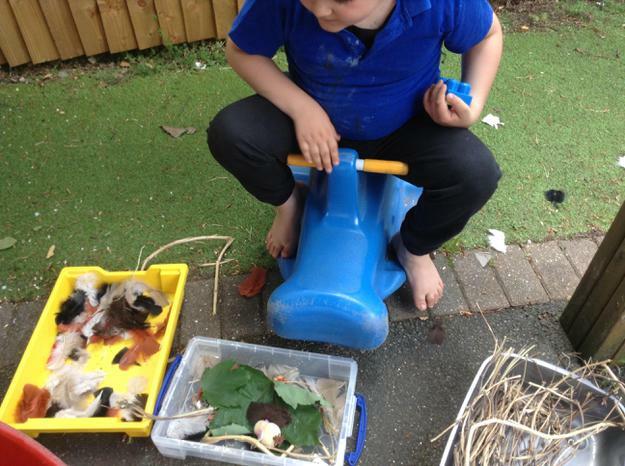 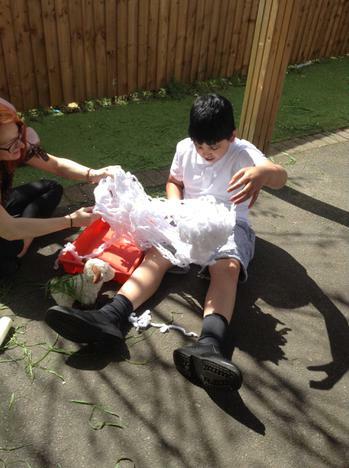 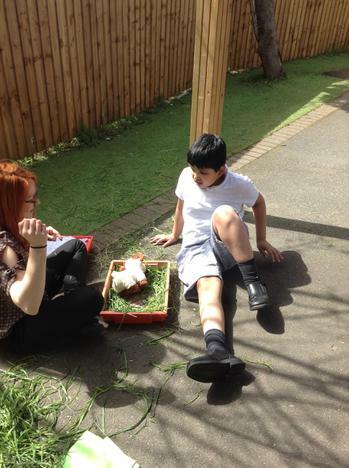 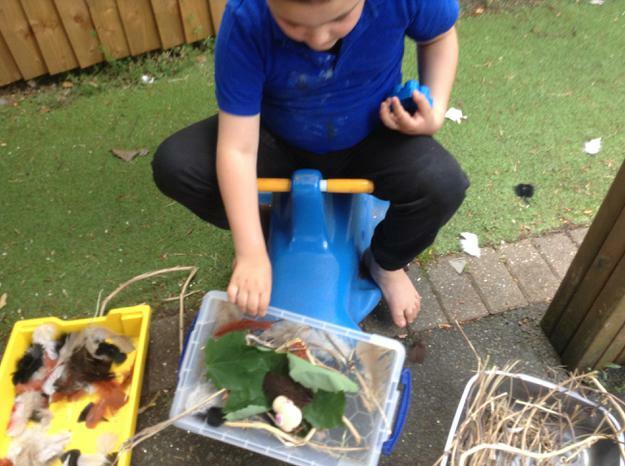 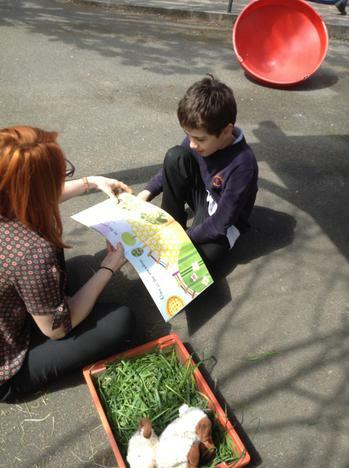 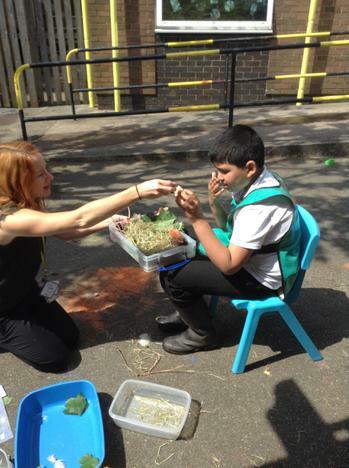 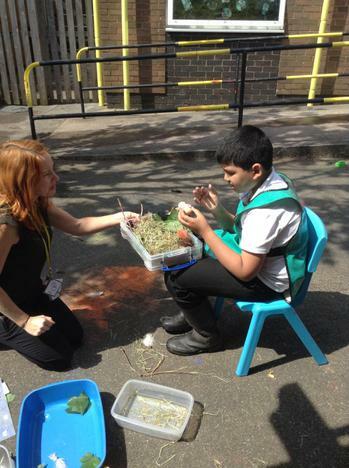 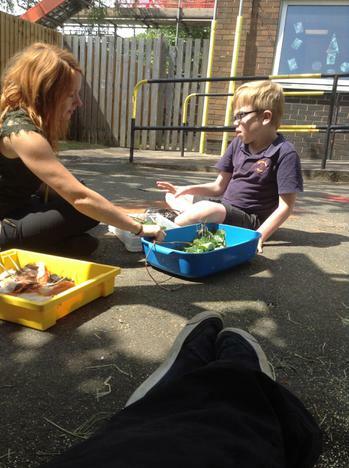 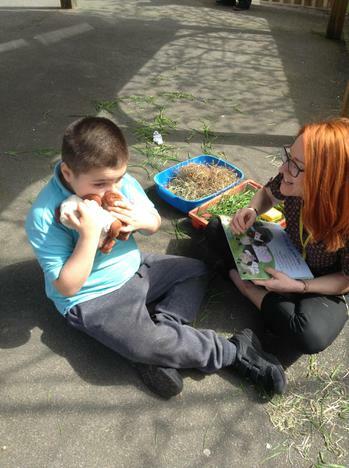 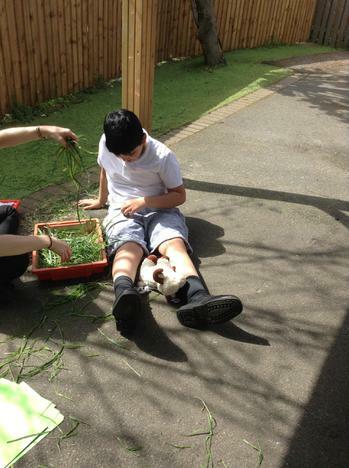 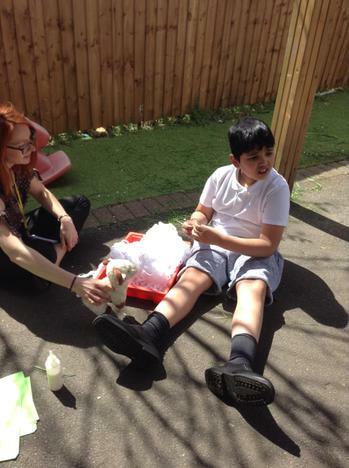 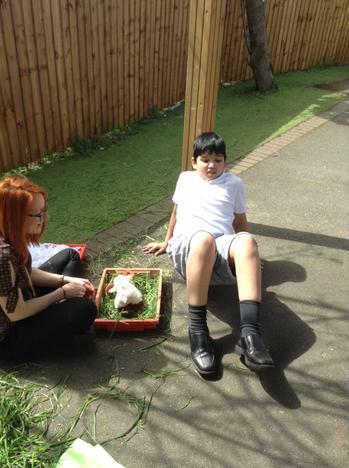 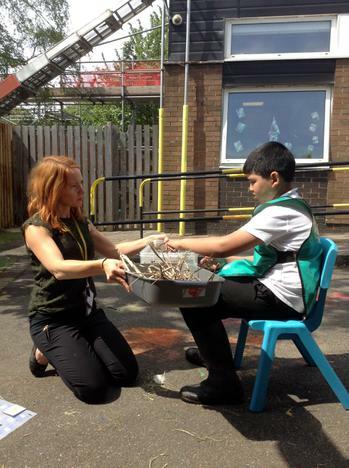 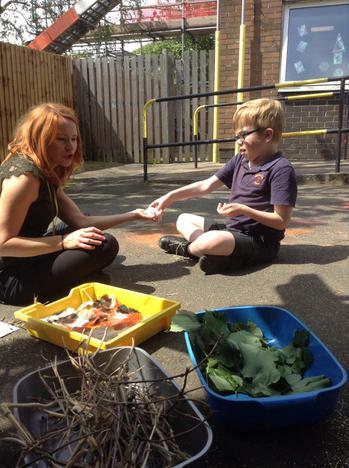 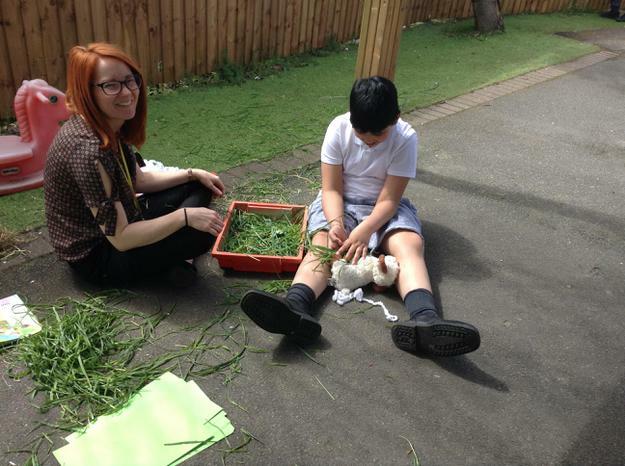 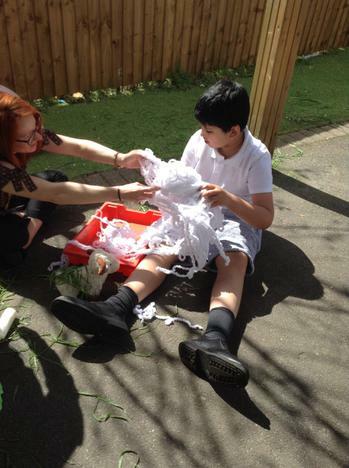 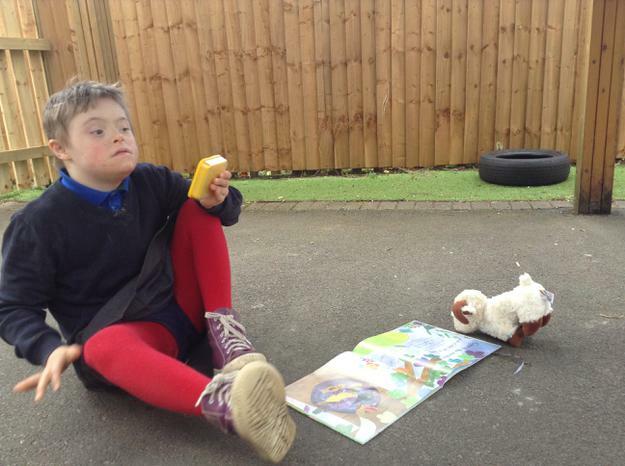 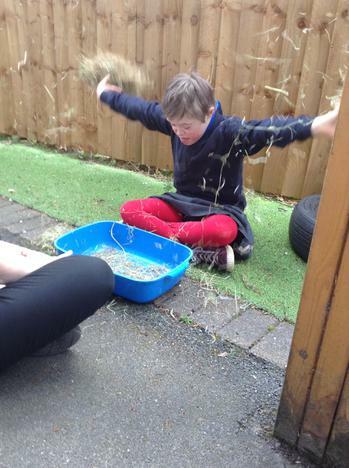 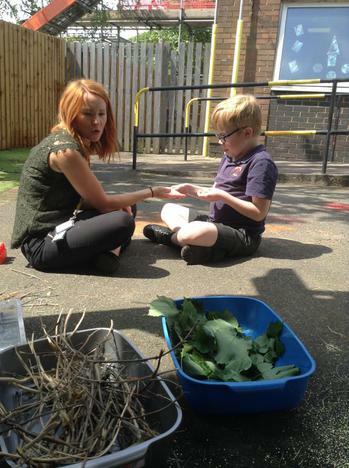 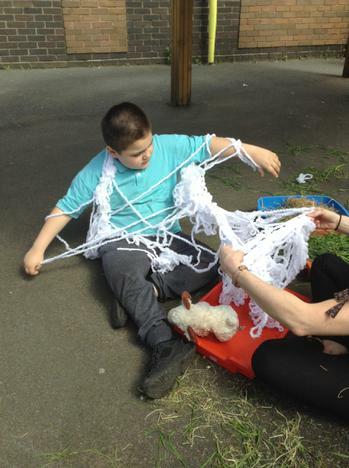 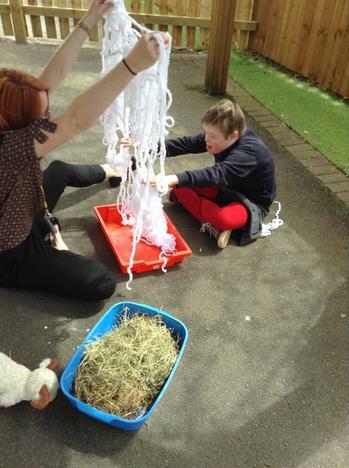 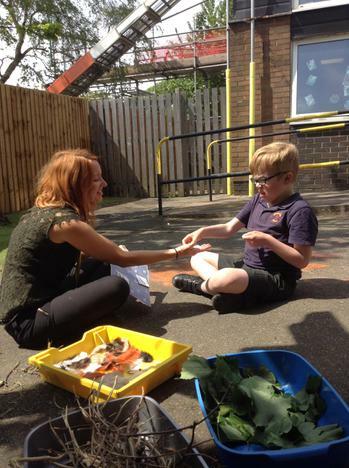 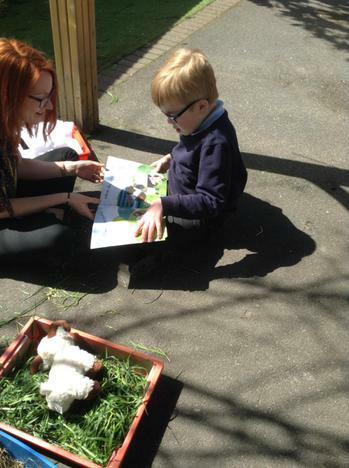 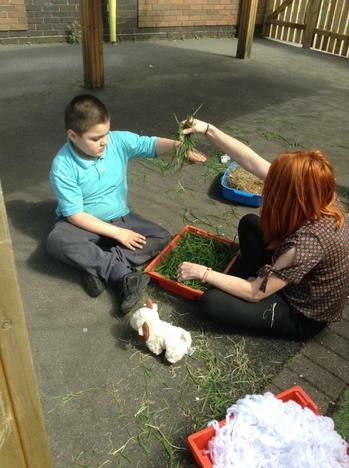 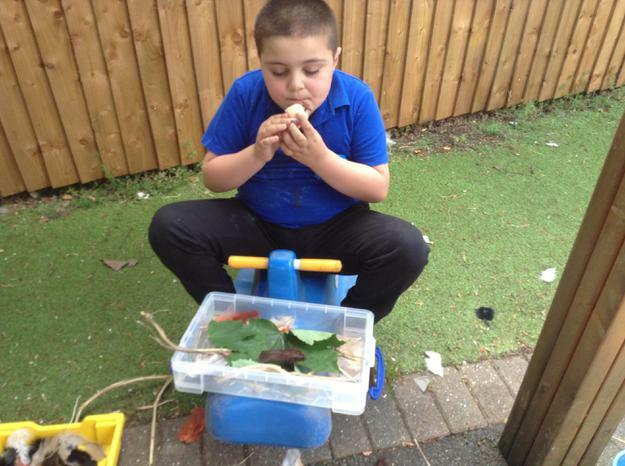 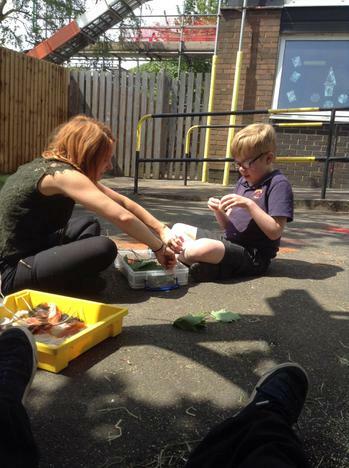 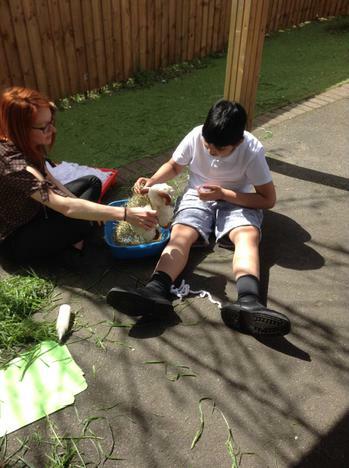 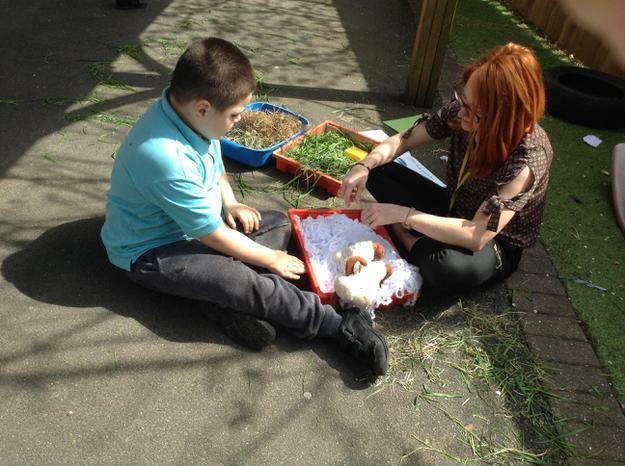 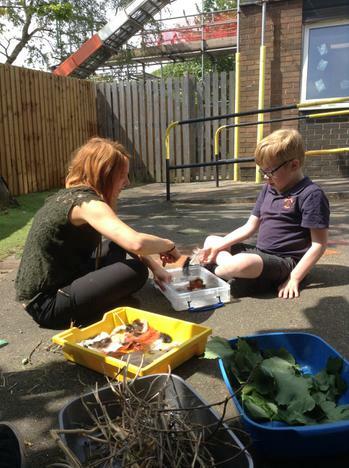 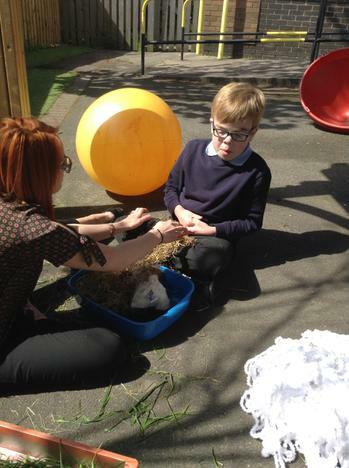 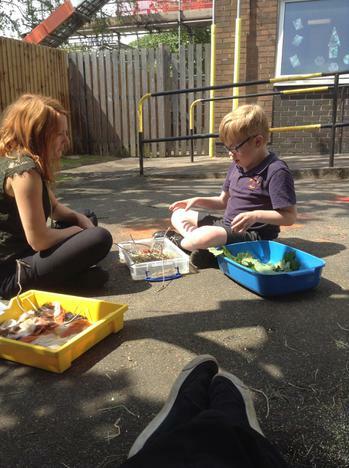 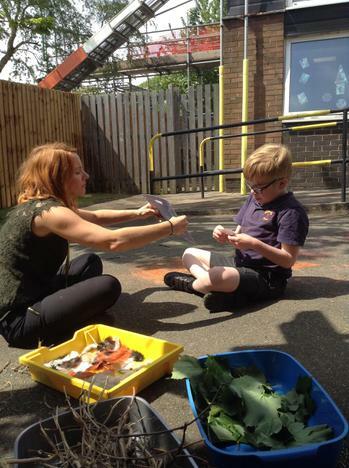 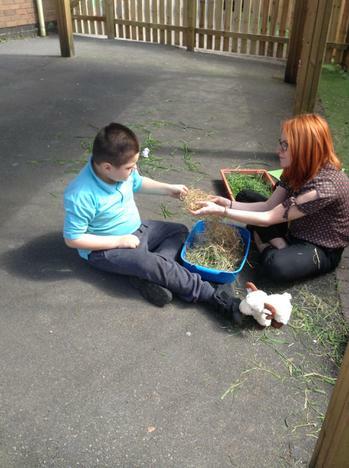 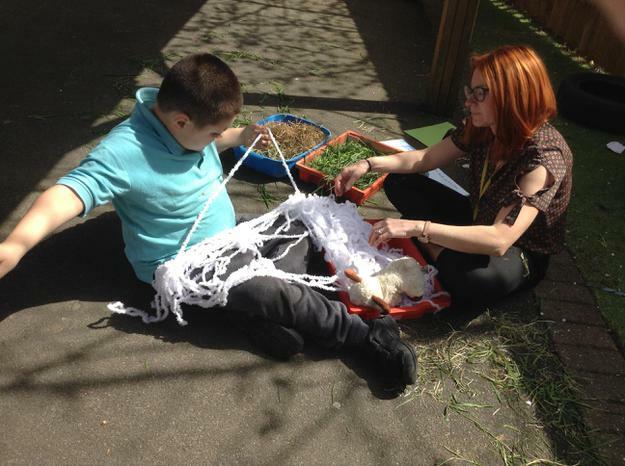 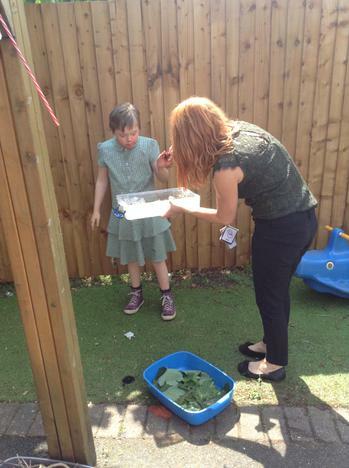 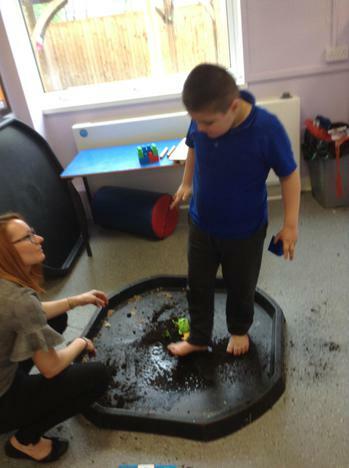 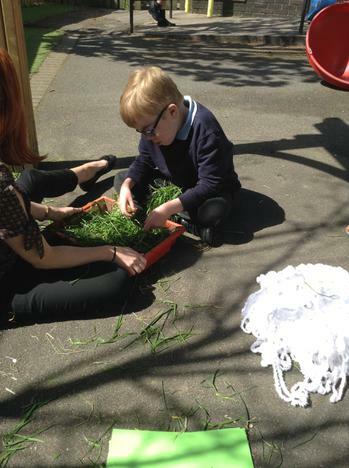 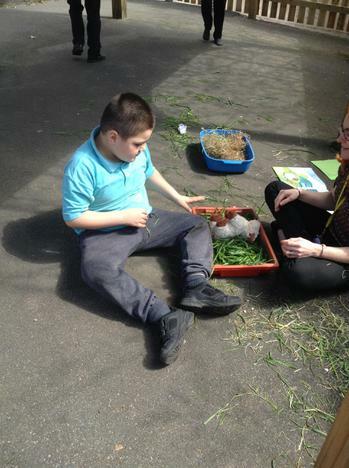 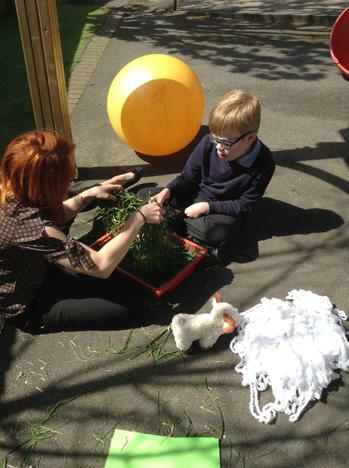 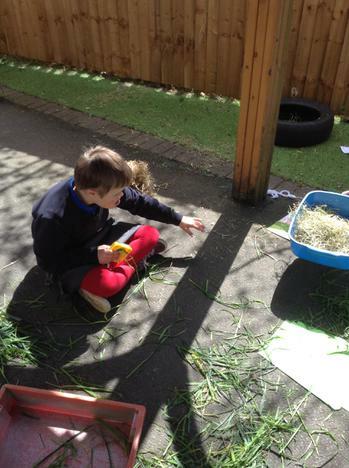 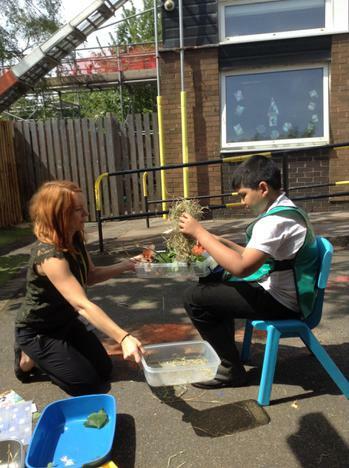 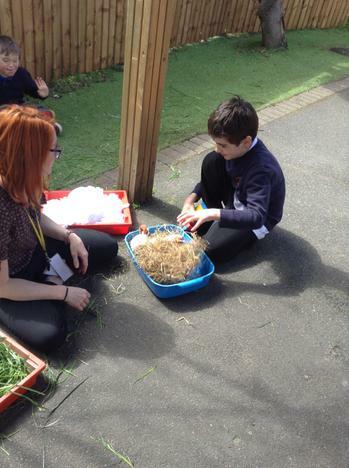 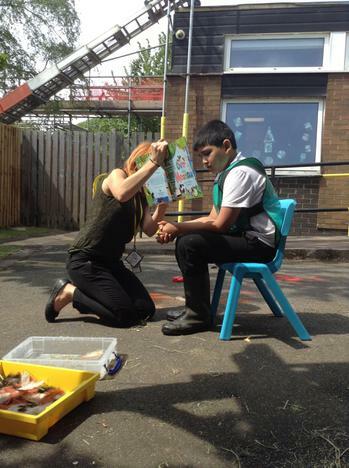 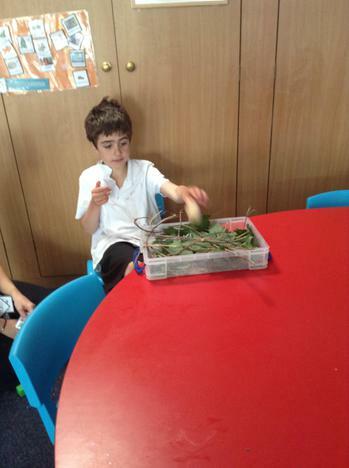 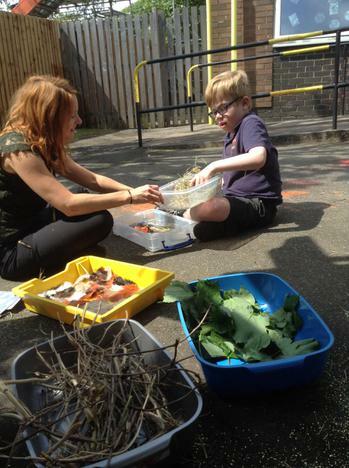 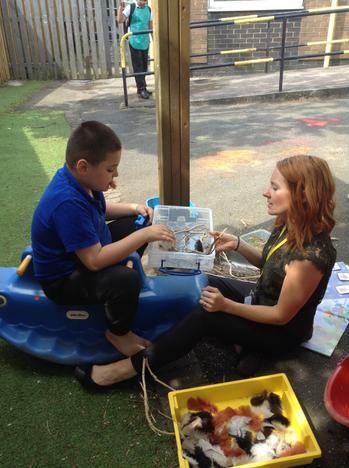 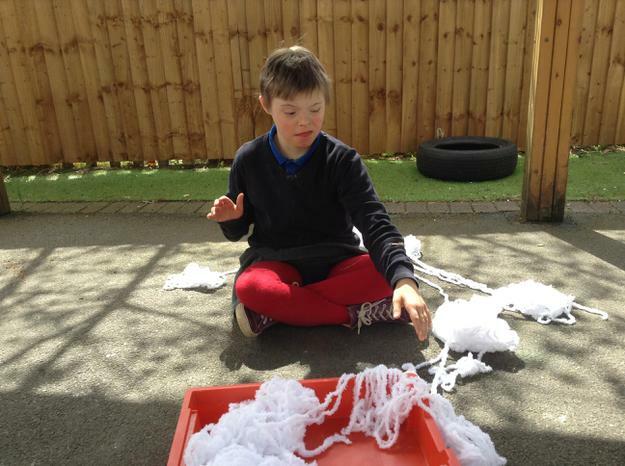 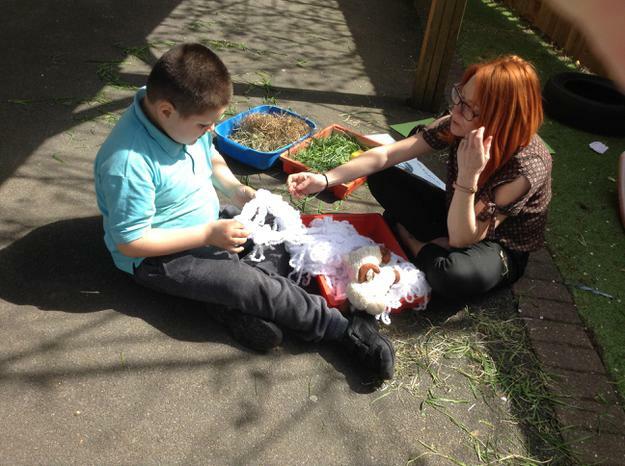 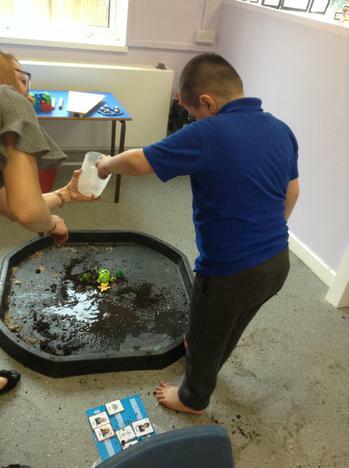 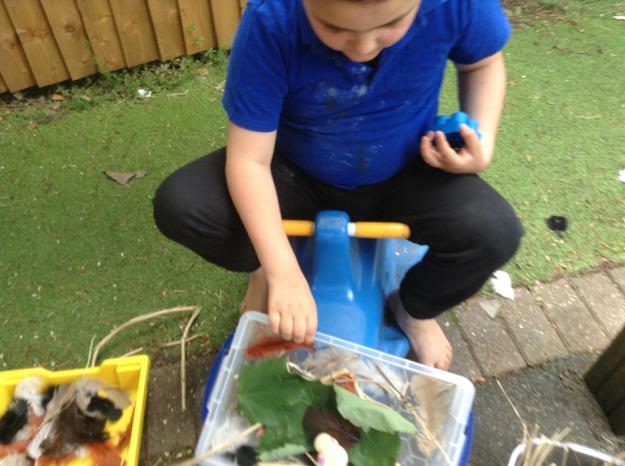 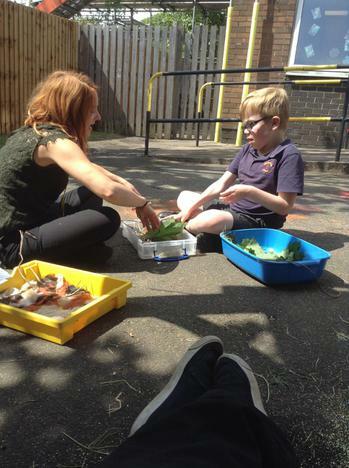 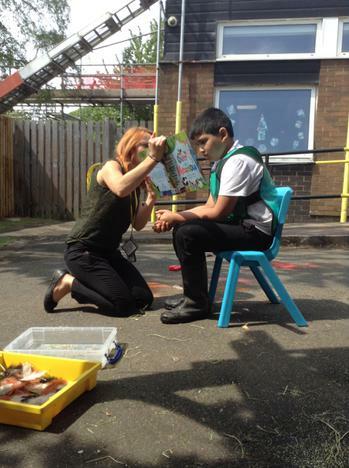 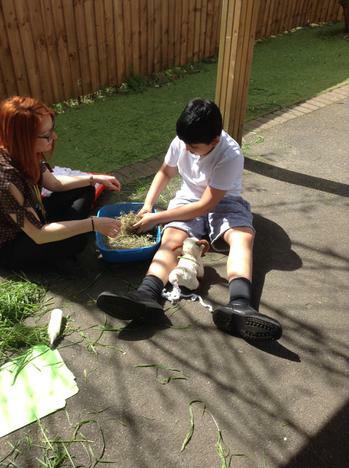 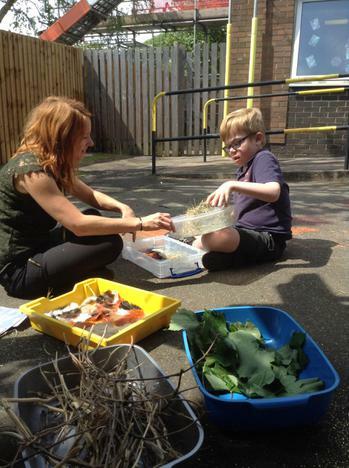 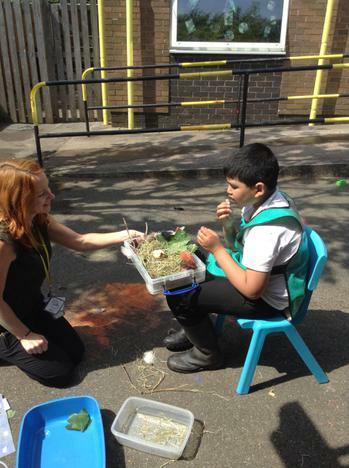 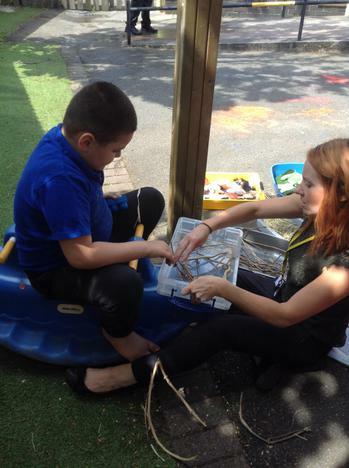 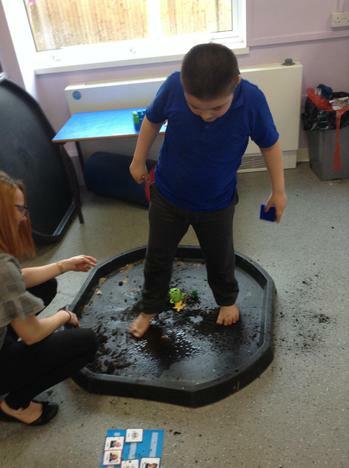 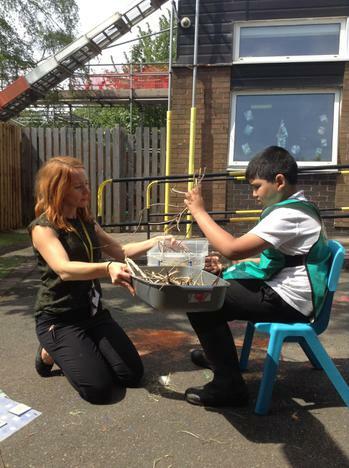 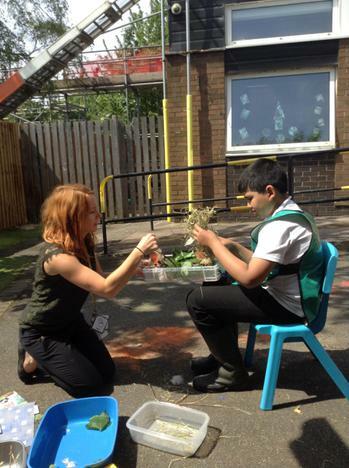 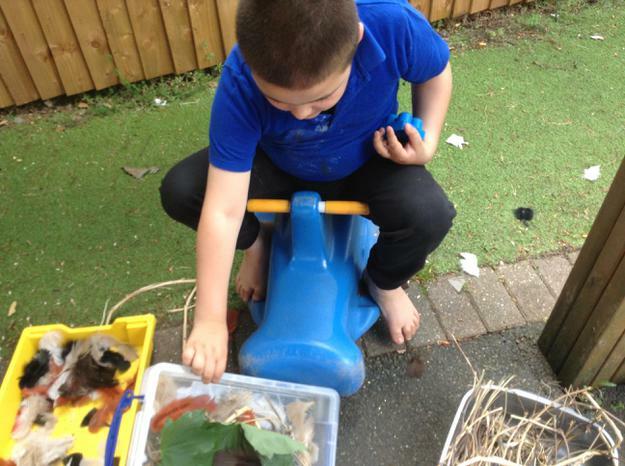 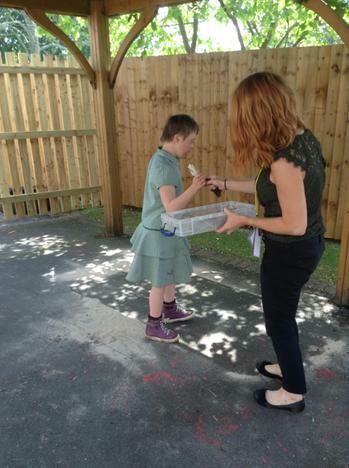 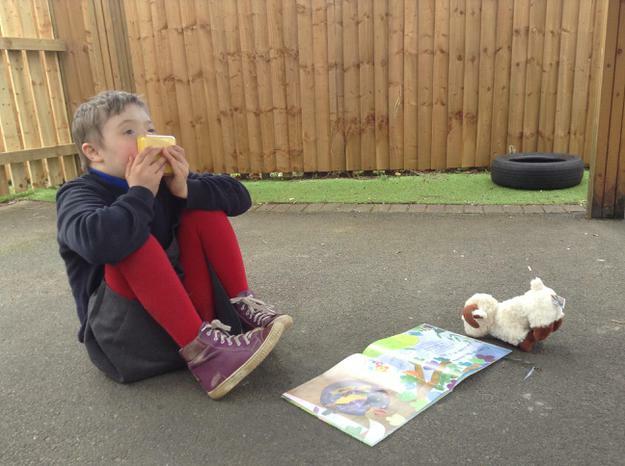 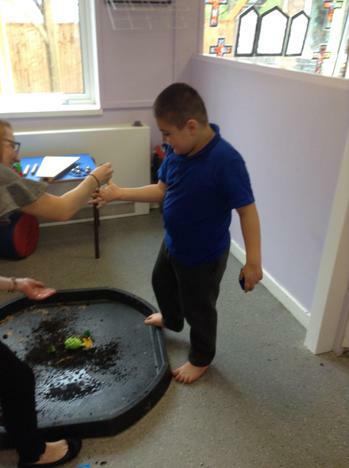 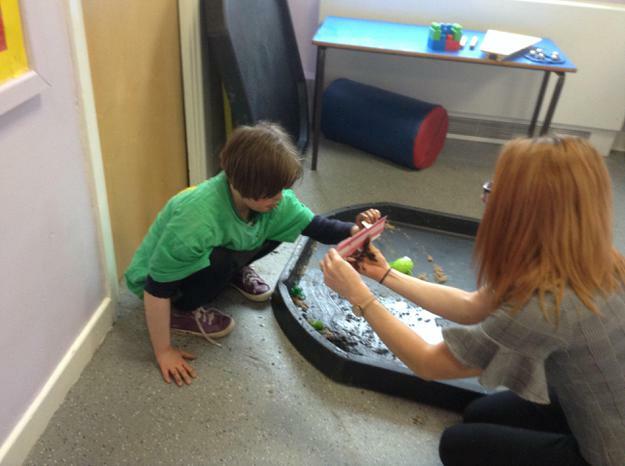 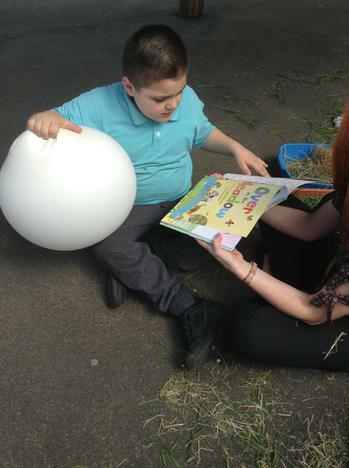 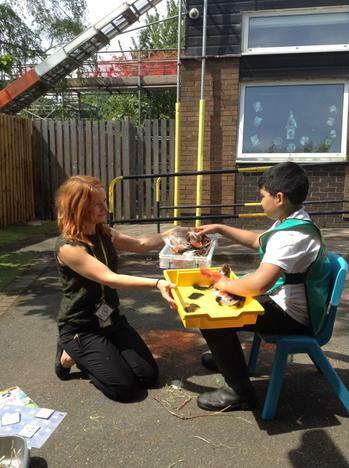 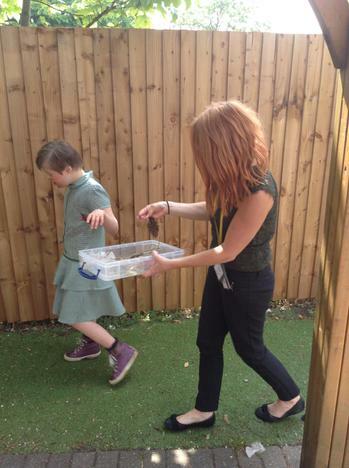 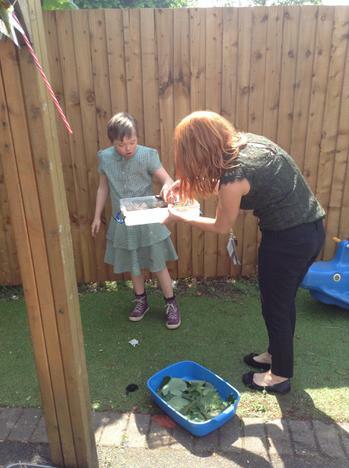 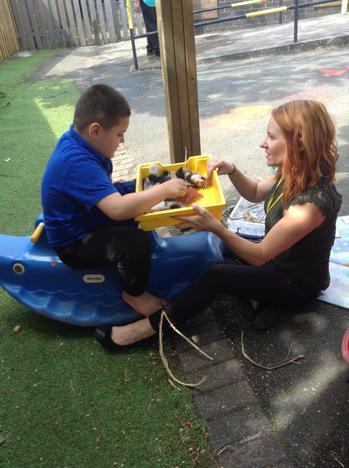 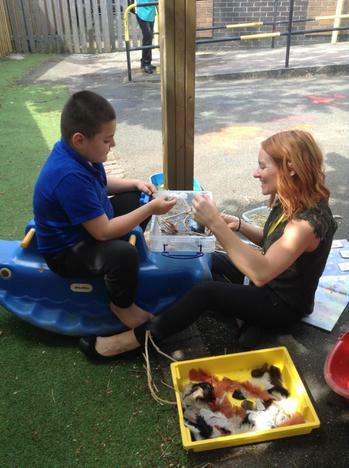 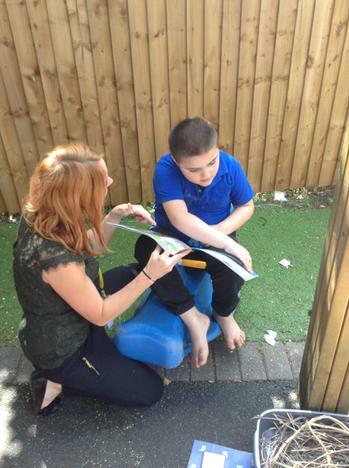 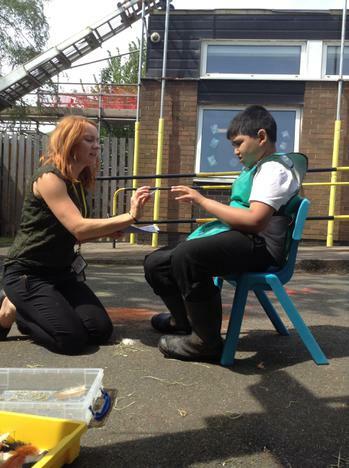 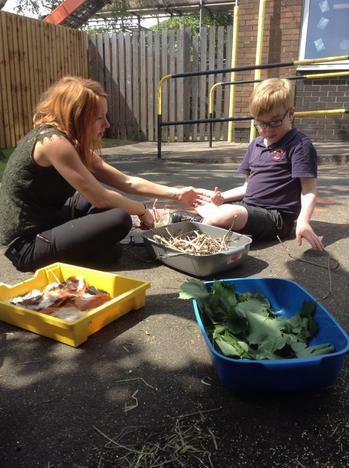 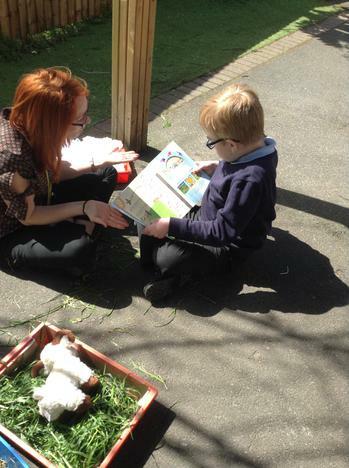 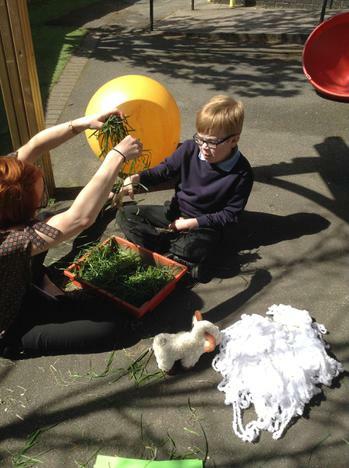 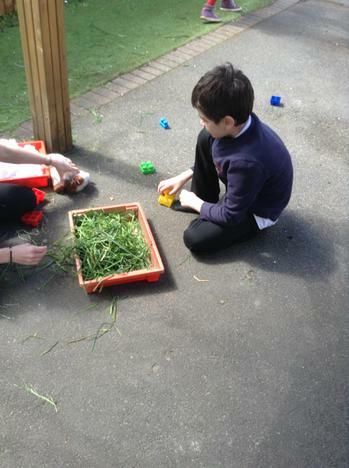 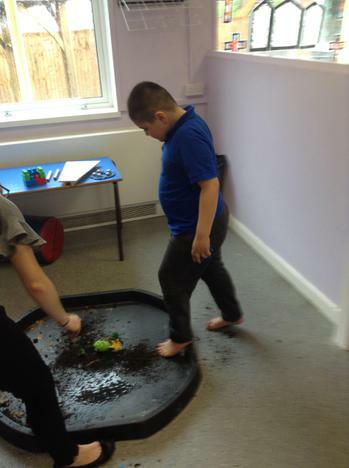 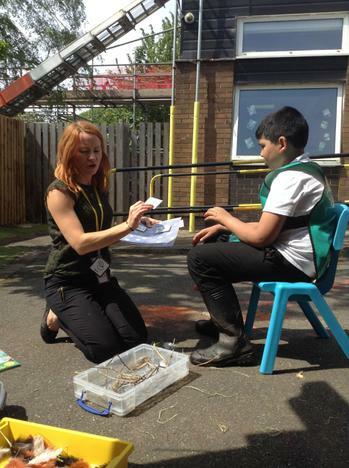 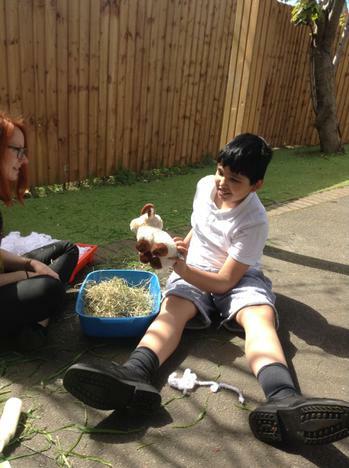 This term in science our topic has been the Barefoot book story 'Over in the Meadow' so our science activities have been based around exploring some of the animal habitats that feature in the story using different sensory stimuli. 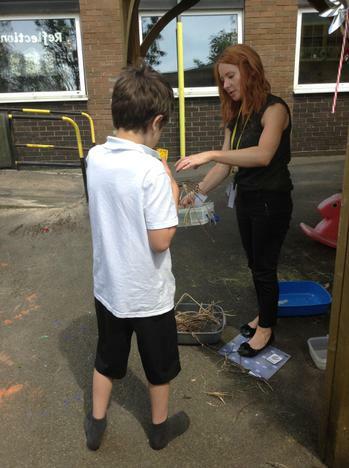 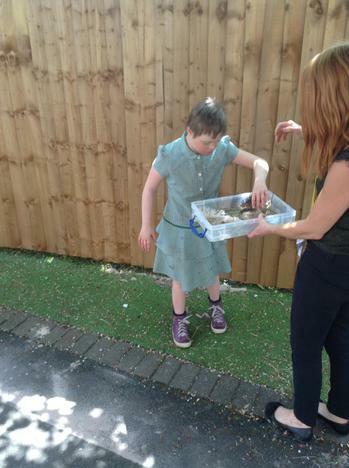 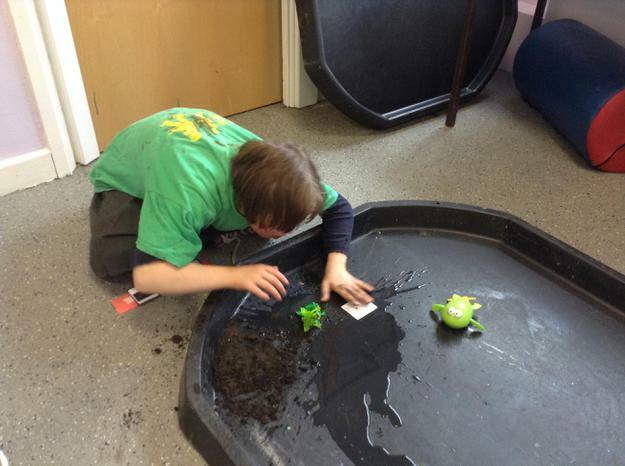 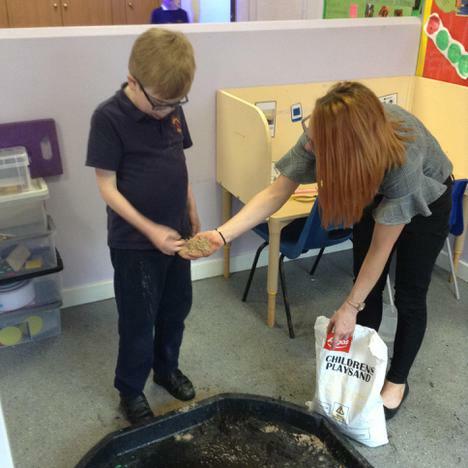 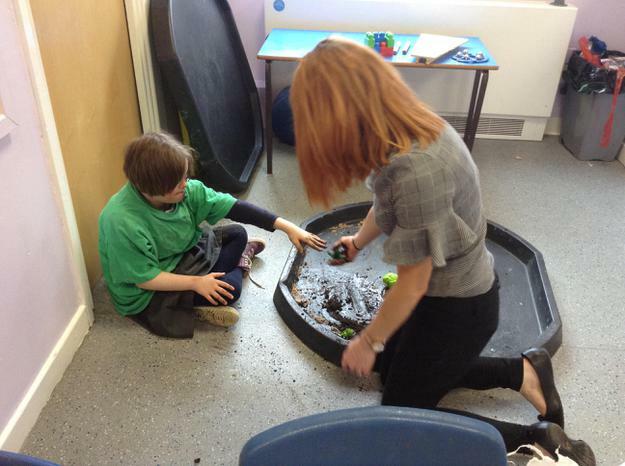 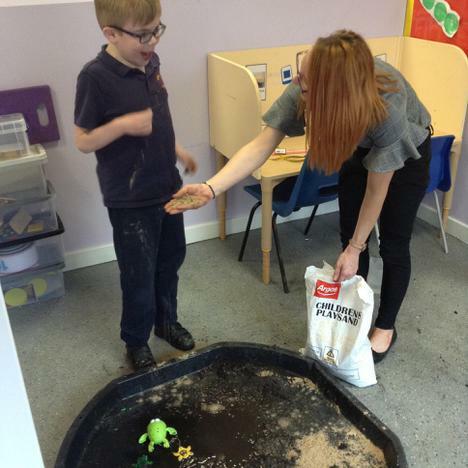 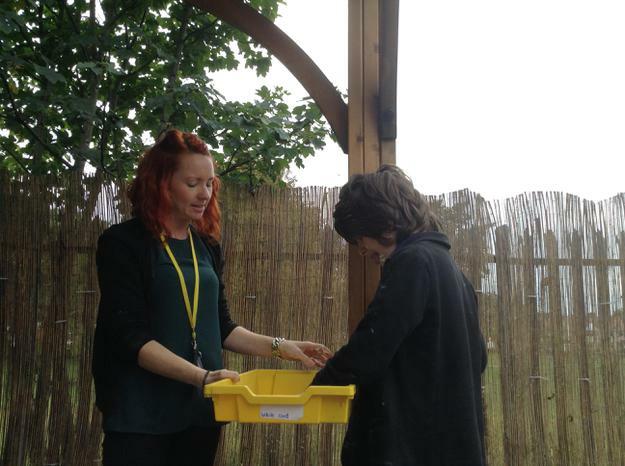 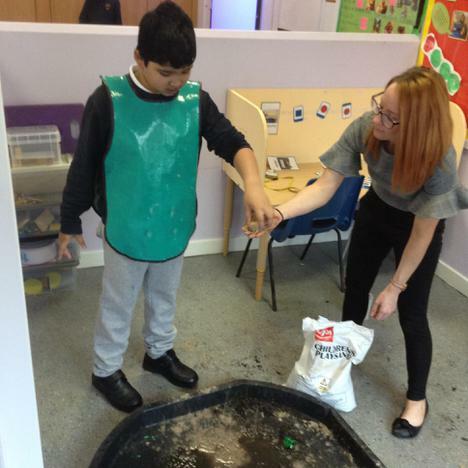 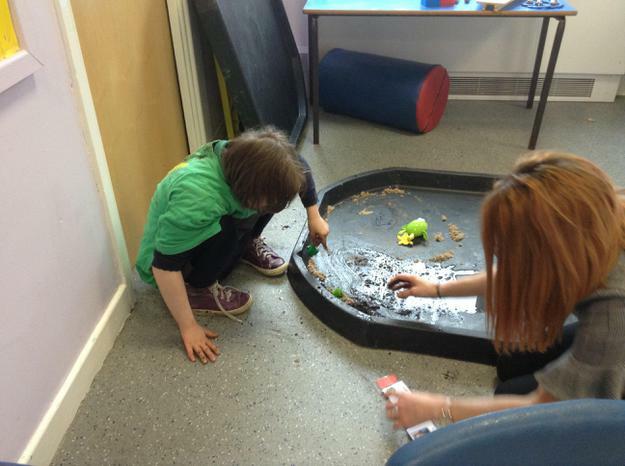 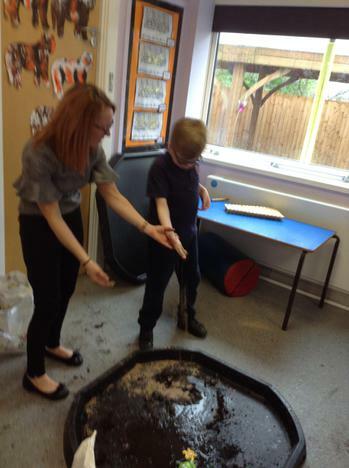 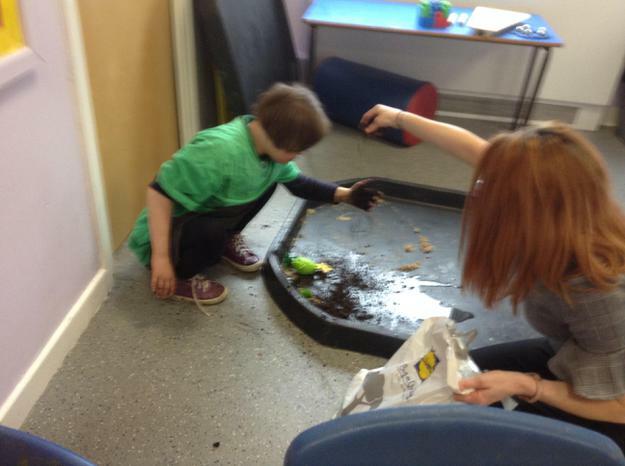 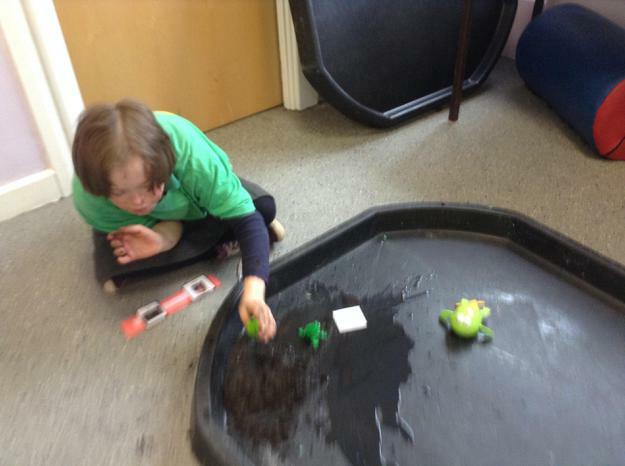 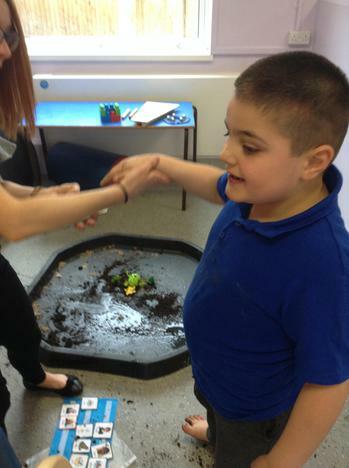 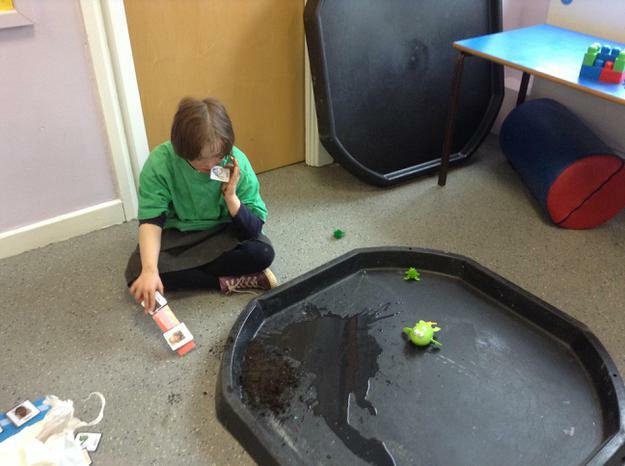 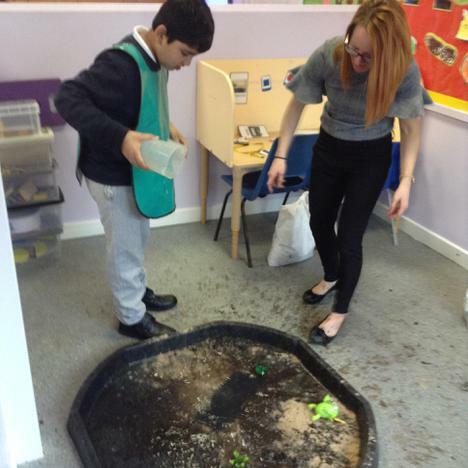 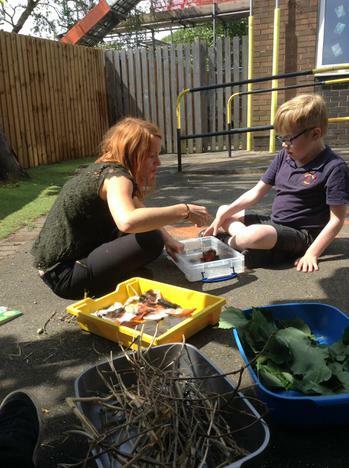 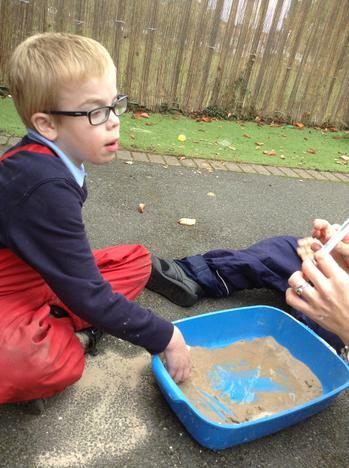 We have made a toad habitat using sand, water and soil. 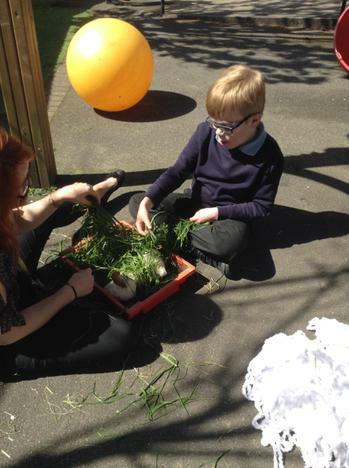 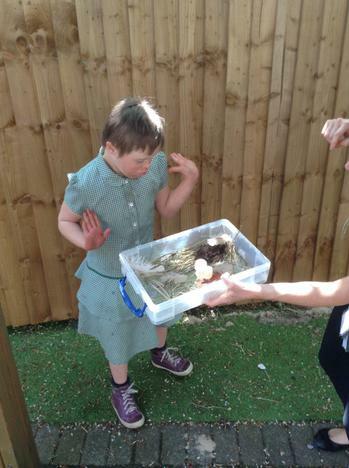 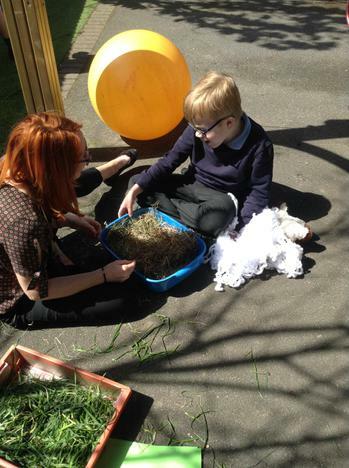 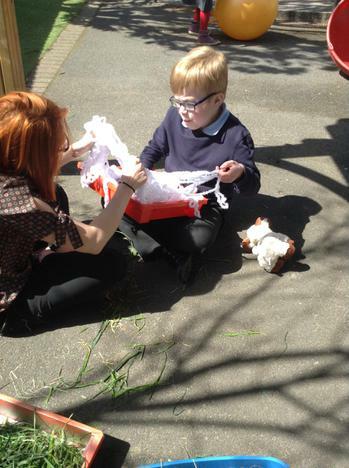 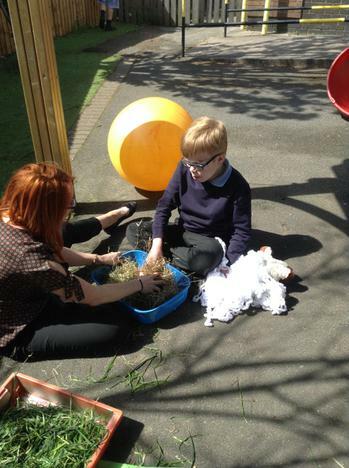 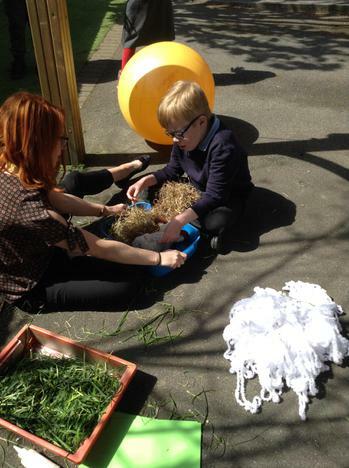 We have explored a sheep habitat using wool, grass and straw and we made birds nests using twigs, feathers, straw and leaves. 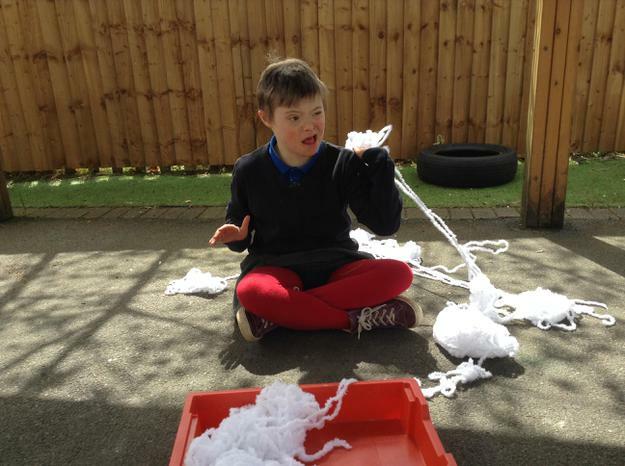 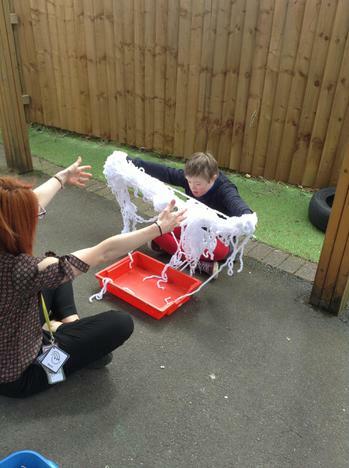 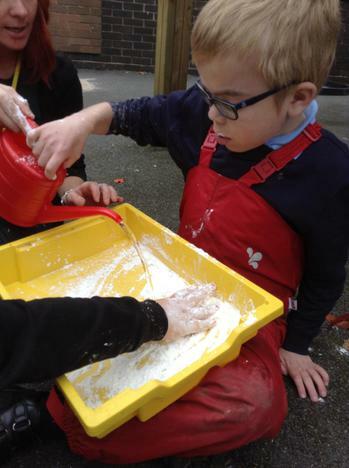 The children have enjoyed exploring the different sensory materials and following simple instructions during these sessions. 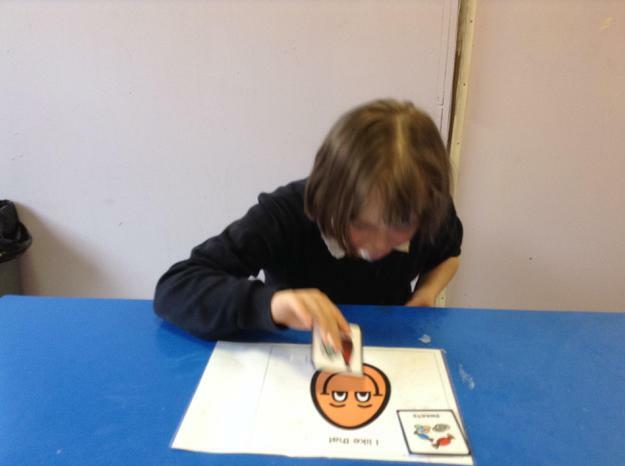 They have also been learning how to follow visual prompts using name-verb-noun sentence strips e.g. 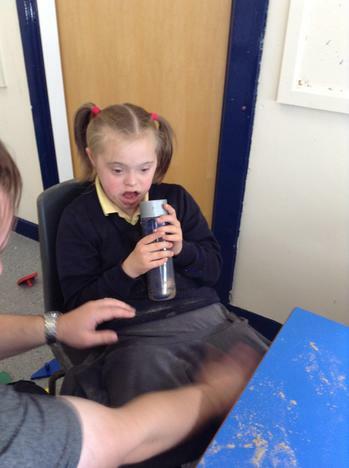 'Lucy pour water'. 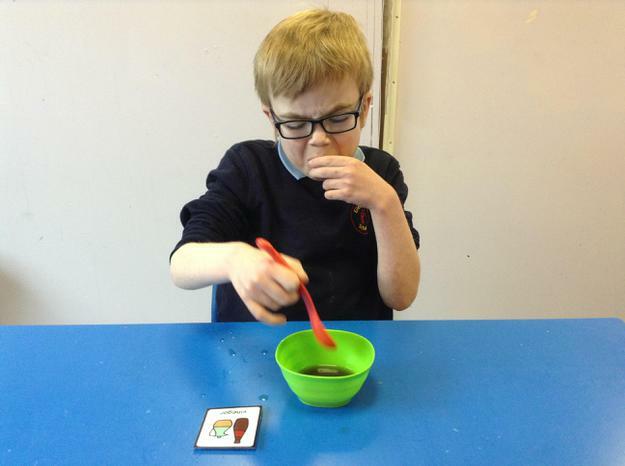 This term in science we have been exploring our sense of taste. 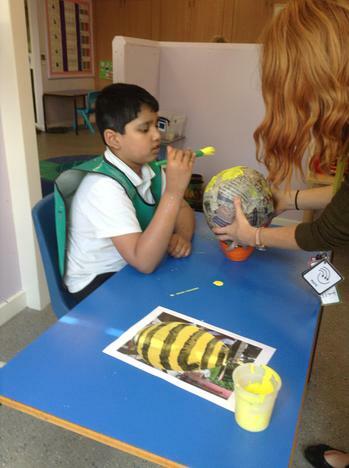 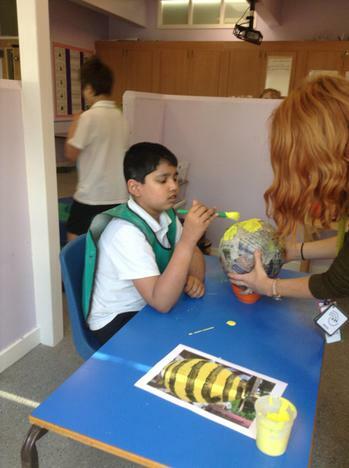 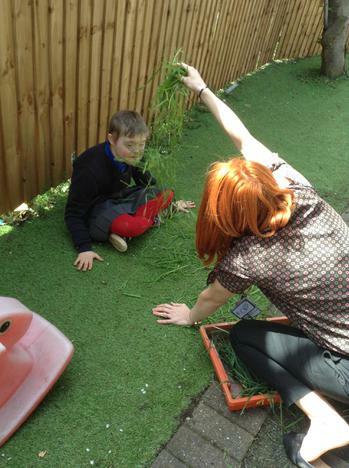 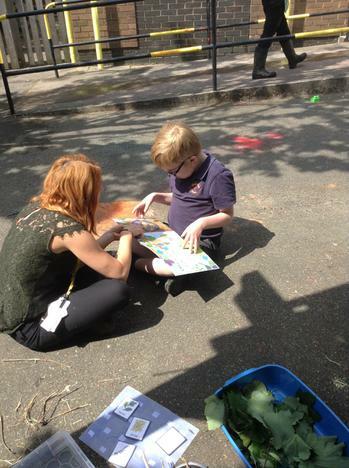 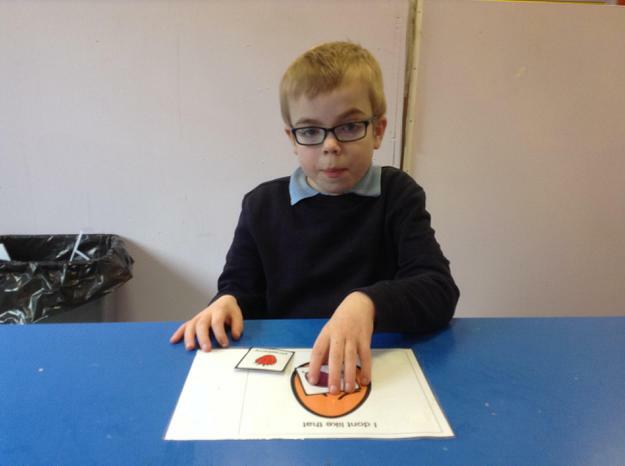 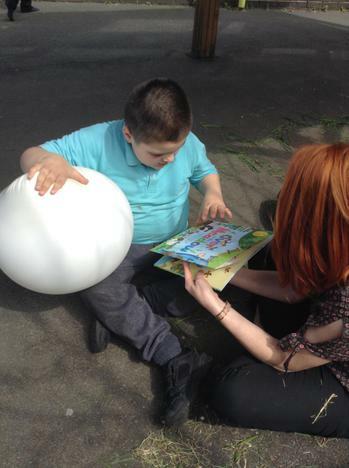 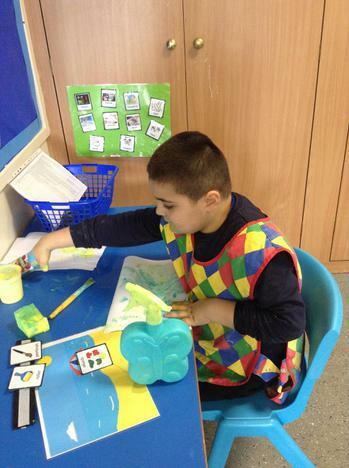 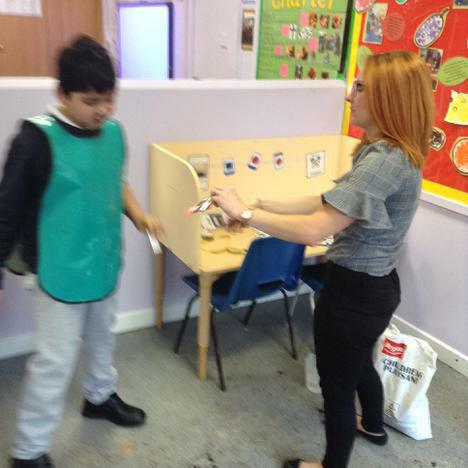 The weekly session has followed the same structure each week and the children have responded well to this. 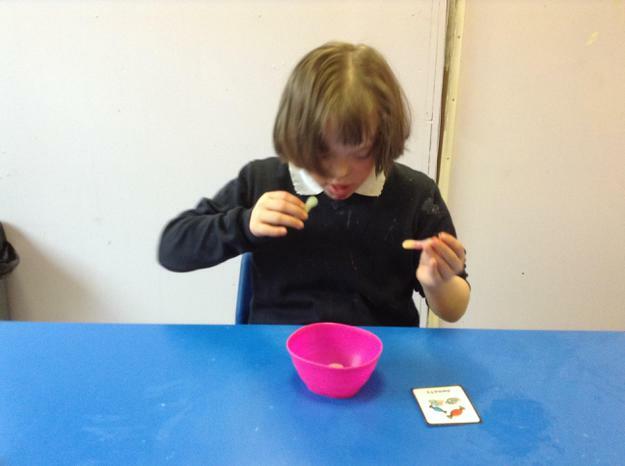 We have explored the 4 different food taste groups - sweet, sour, salty and bitter. 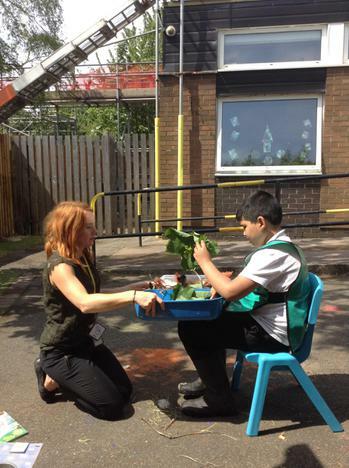 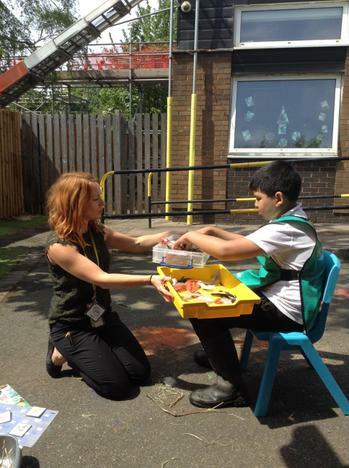 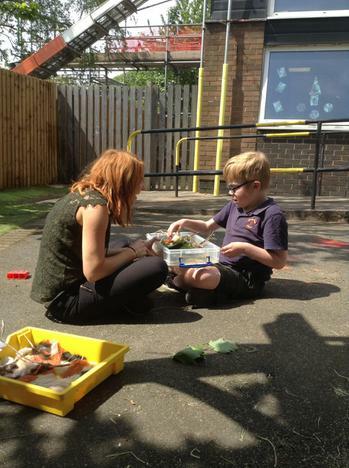 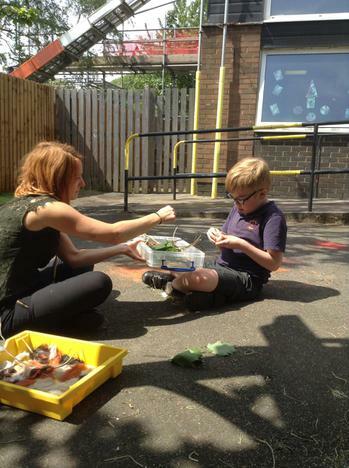 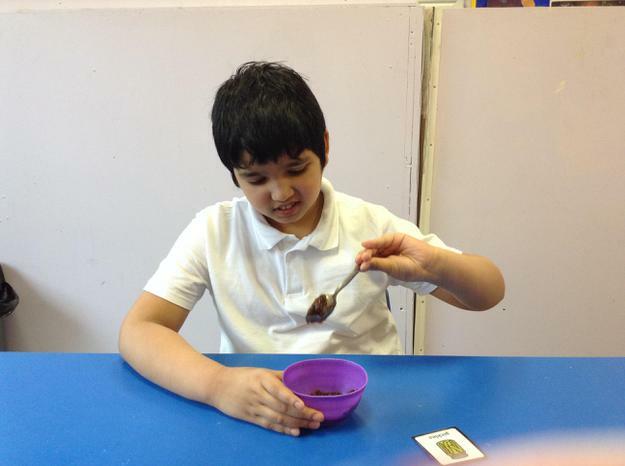 The children have chosen whether they want to taste the food or just have a smell and explore it with their hands. 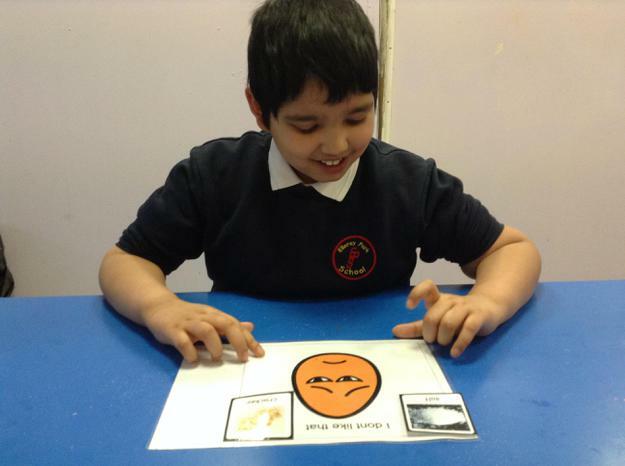 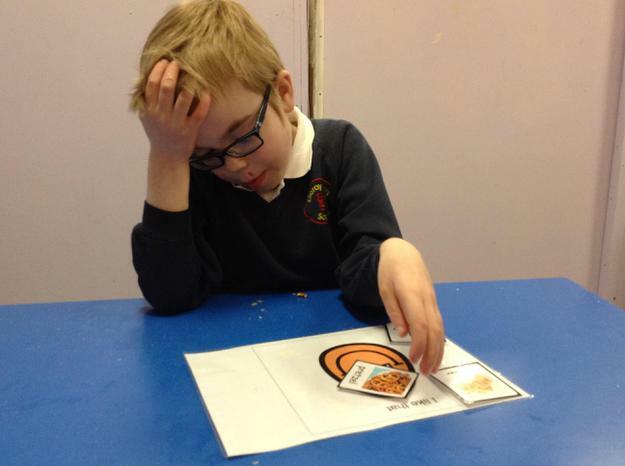 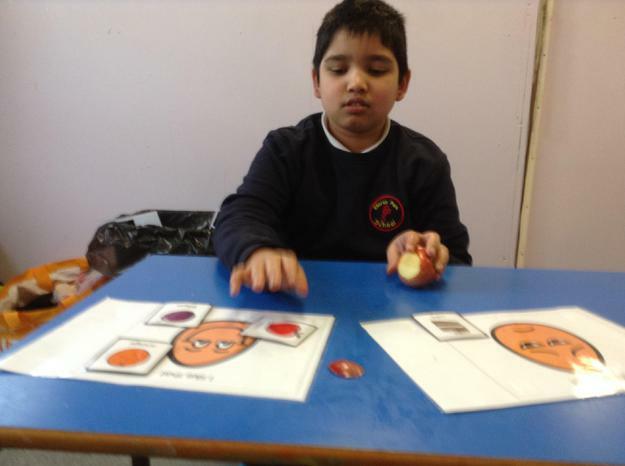 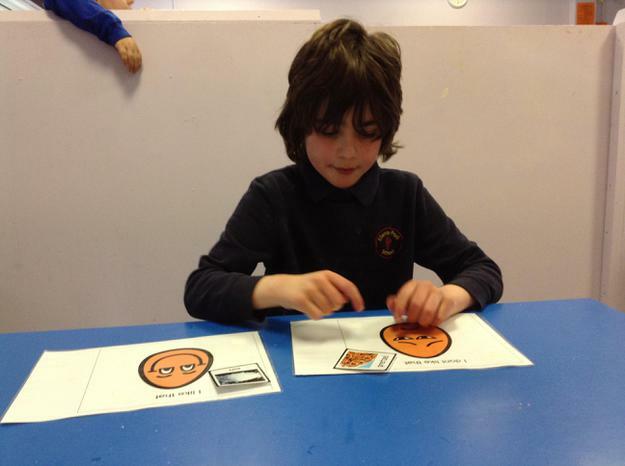 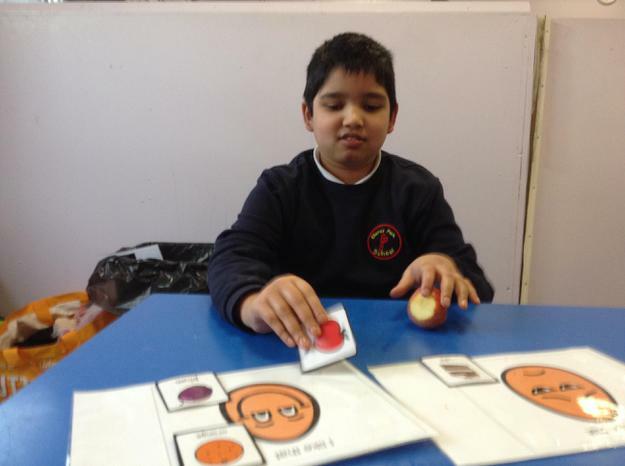 They then used symbols to communicate whether they liked or disliked the different foods. 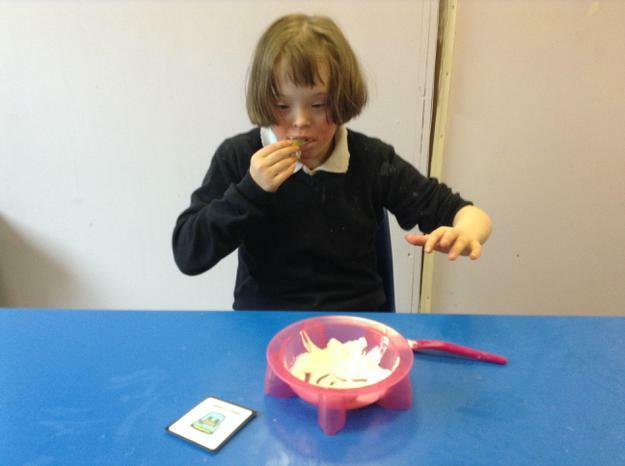 There were some definite and strong reactions to some of the tastes!! 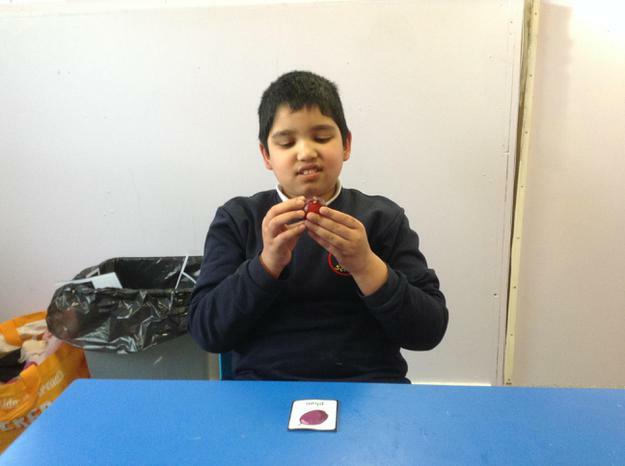 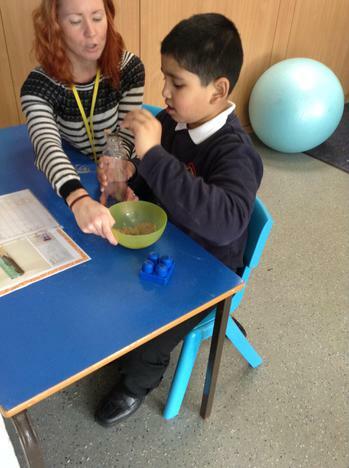 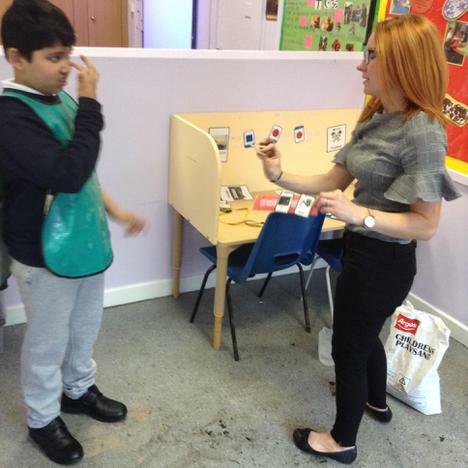 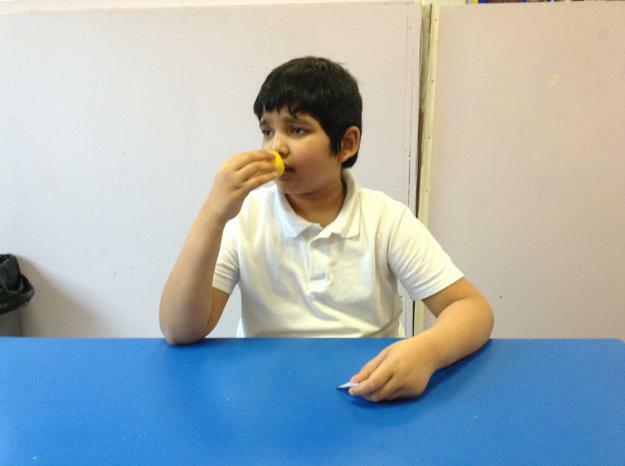 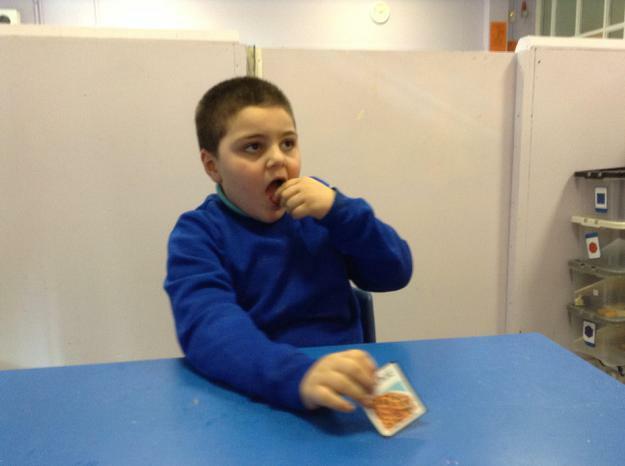 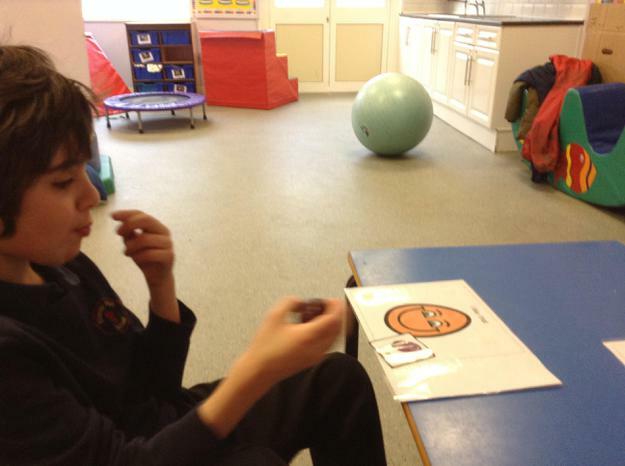 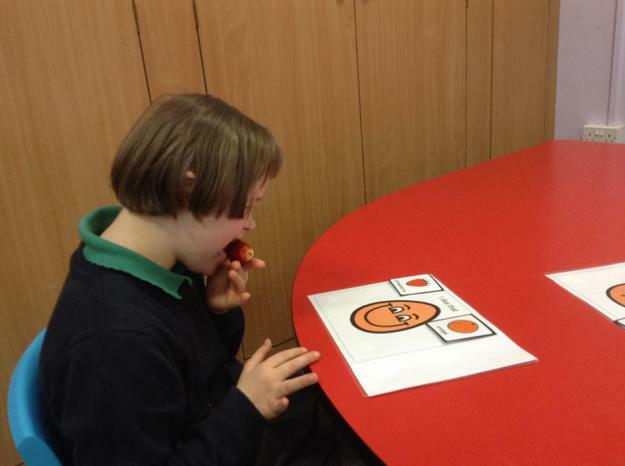 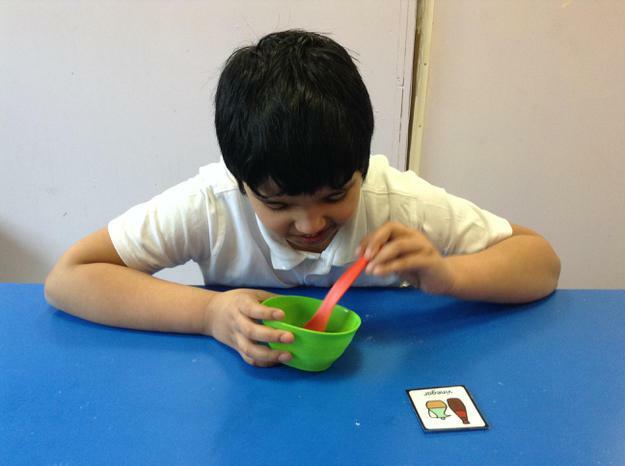 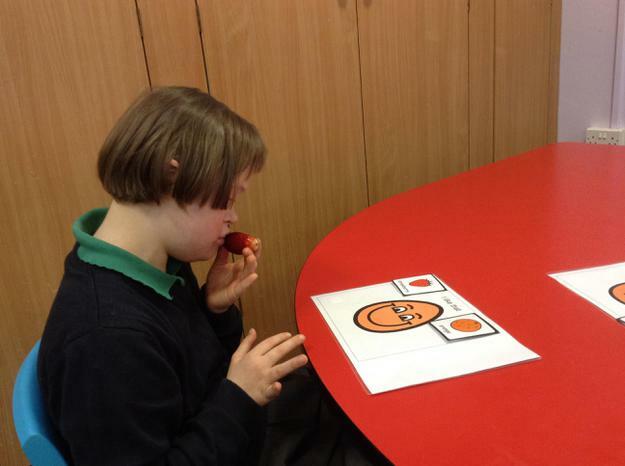 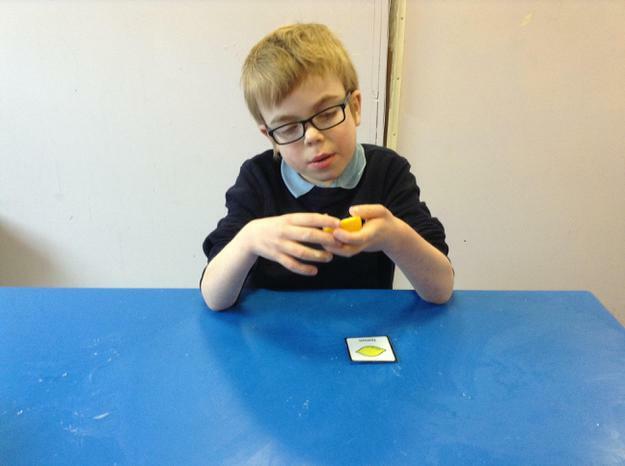 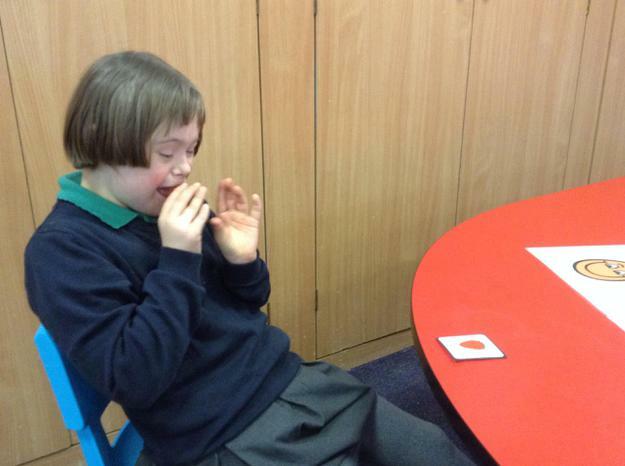 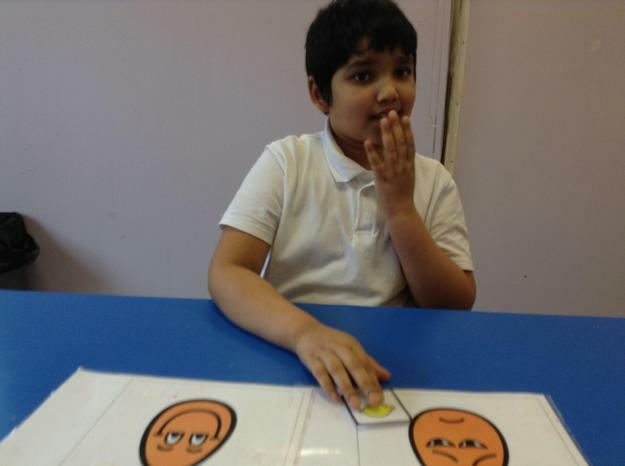 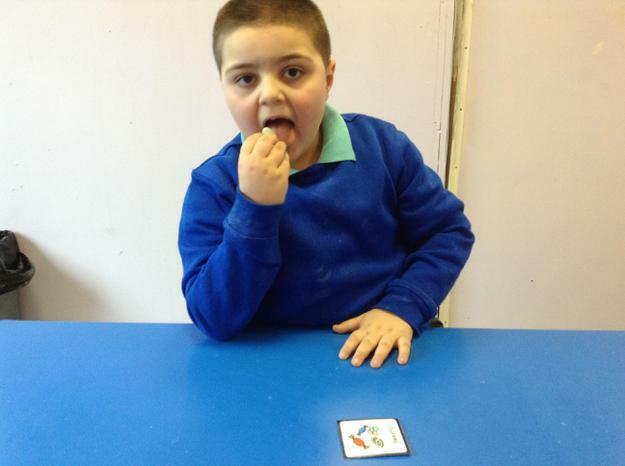 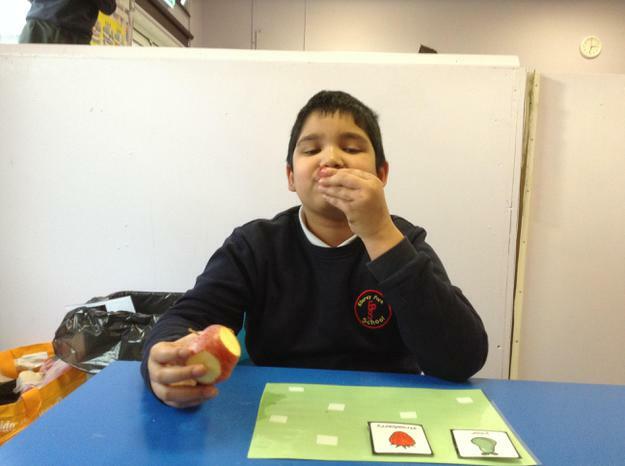 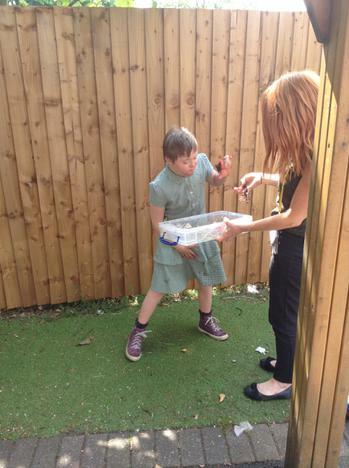 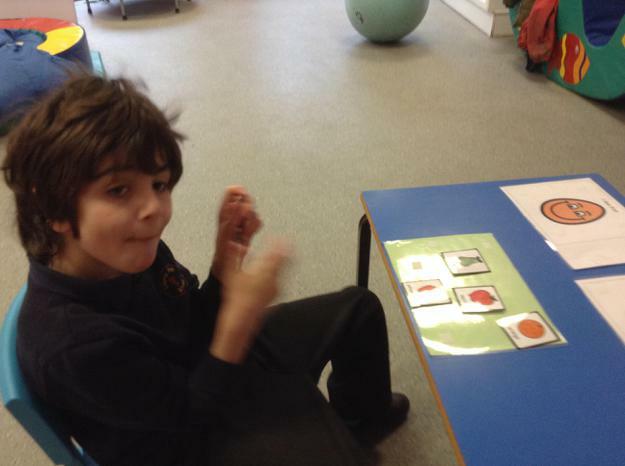 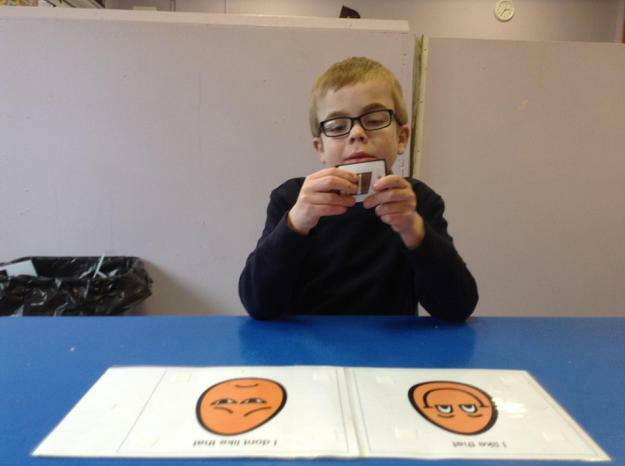 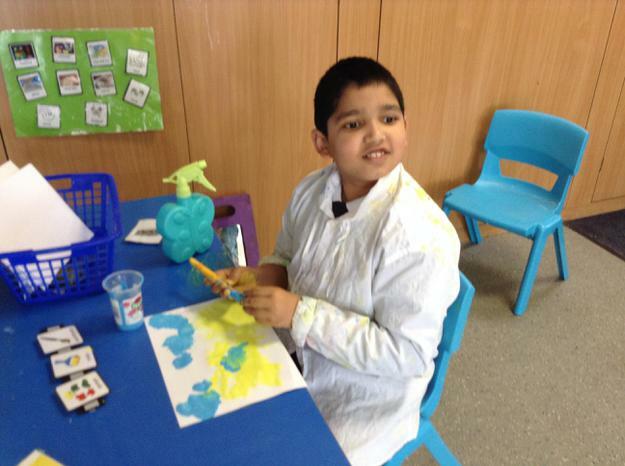 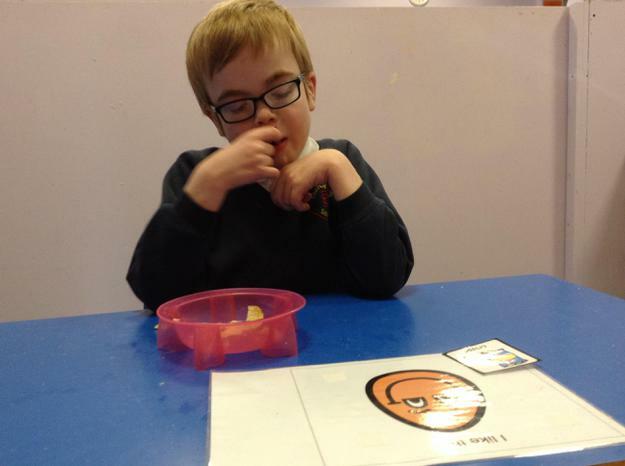 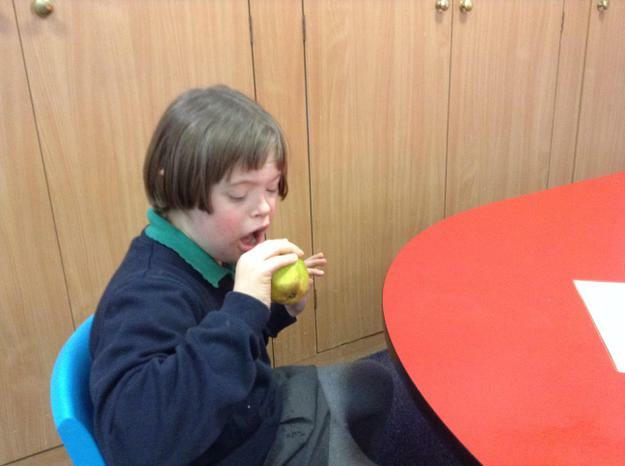 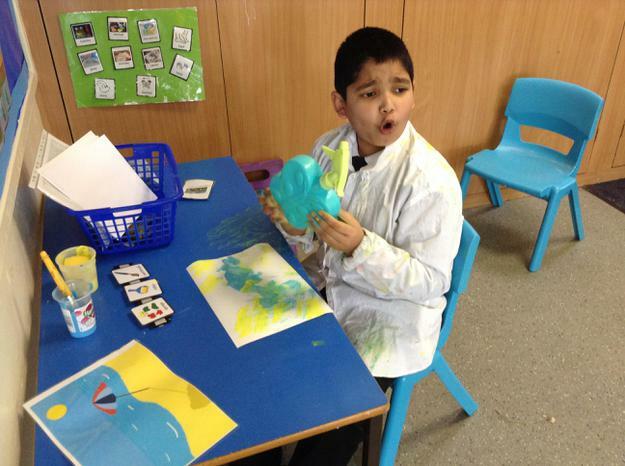 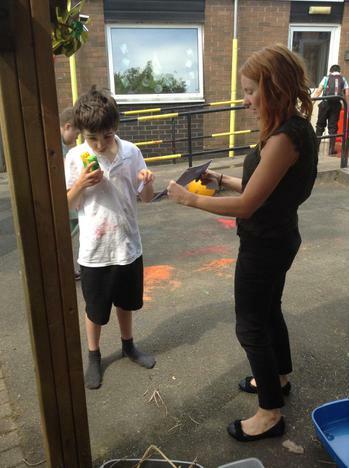 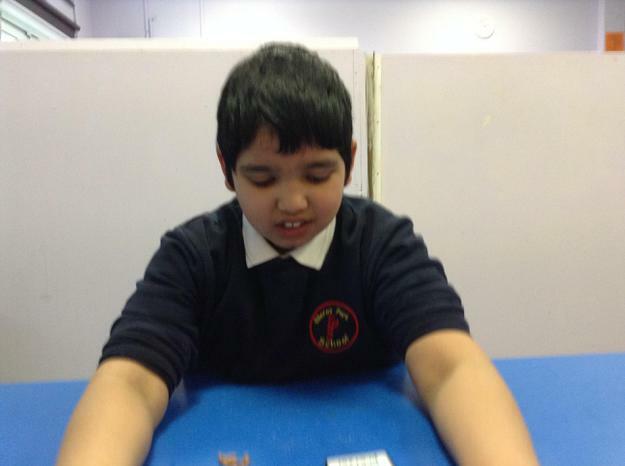 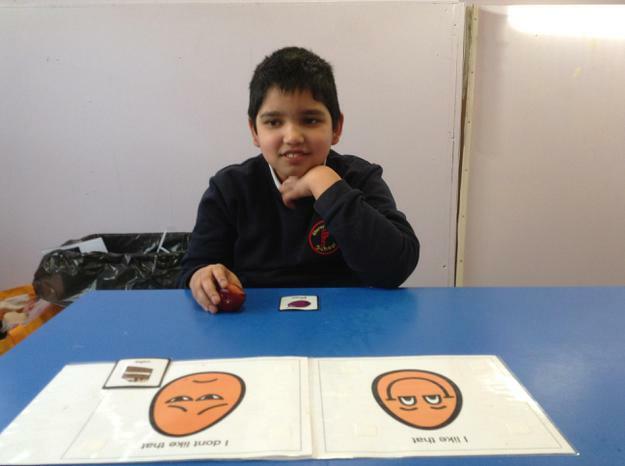 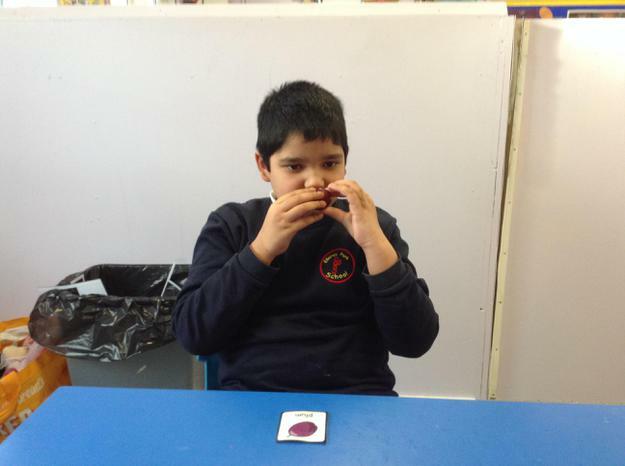 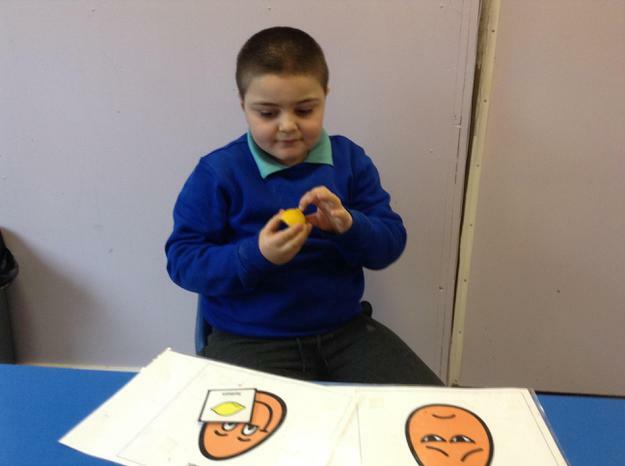 This term our science activities are all about exploring our sense of taste. 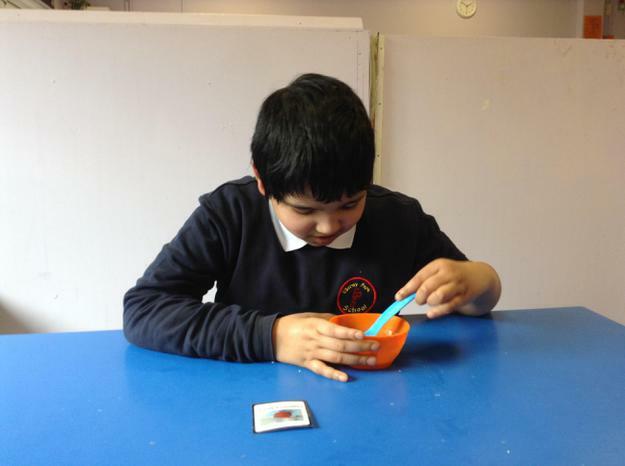 We will be doing this by exploring and tasting foods from the different taste groups salty, bitter, sour and sweet. 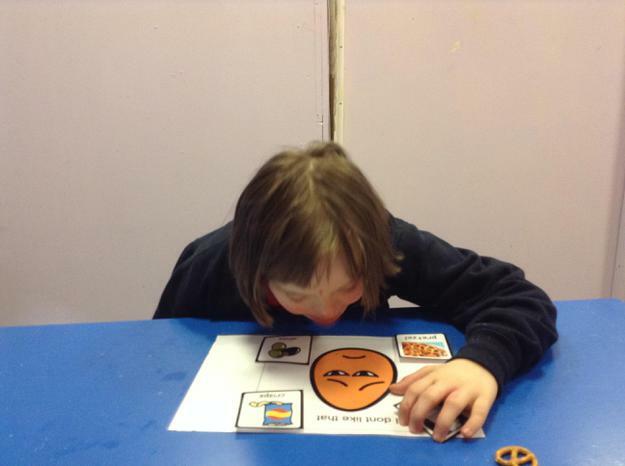 The children will be learning to engage in adult led activities, follow instructions and use symbols to make preferences during these activities. 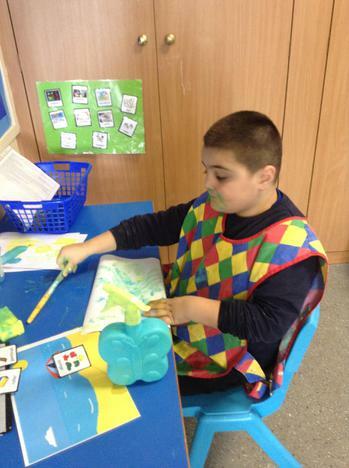 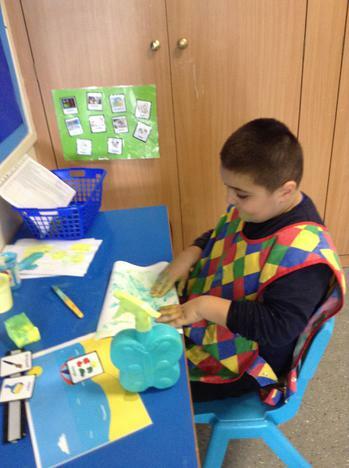 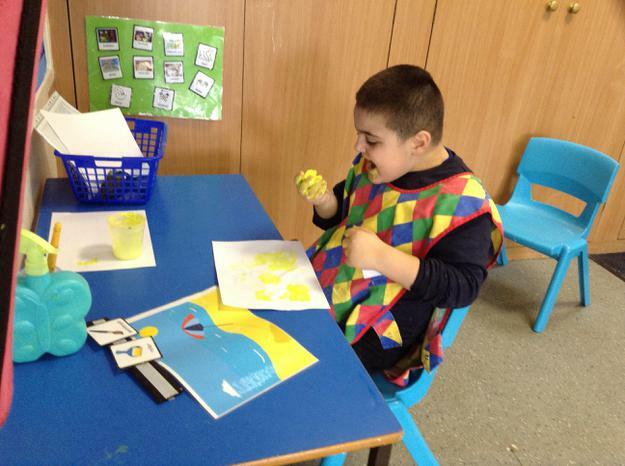 The children have also been learning about taste through tasting the fruit from the hungry caterpillar story. 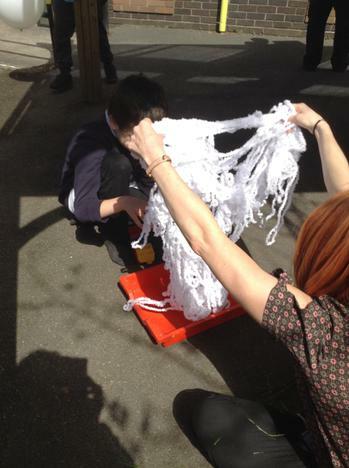 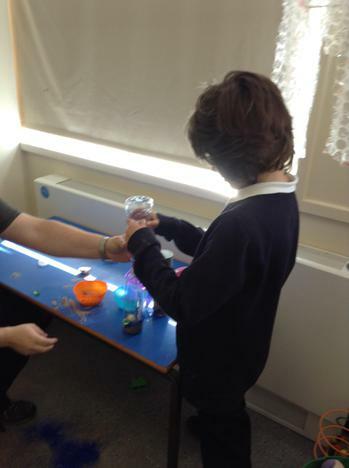 We also enjoyed a fun scientific experiment during alien week. 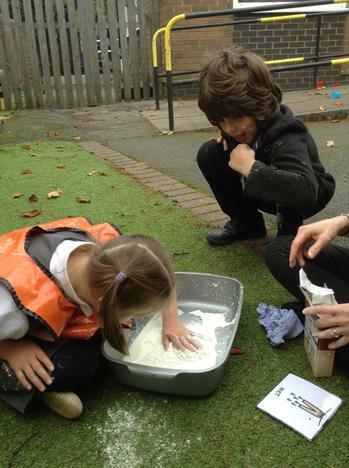 We made erupting moon dust using baking soda and vinegar. 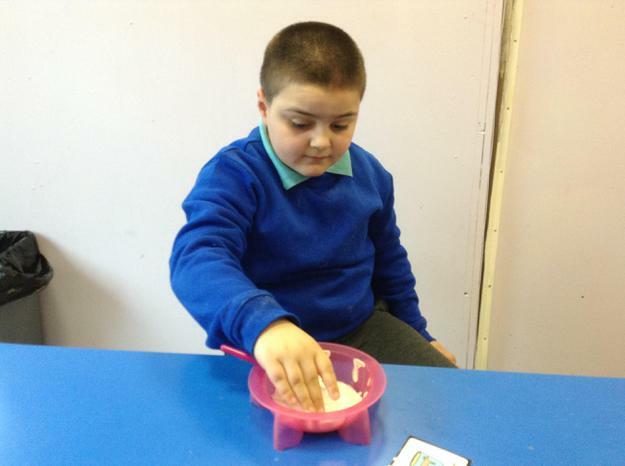 The children enjoyed watching and listening to the effect when they mixed the ingredients together. 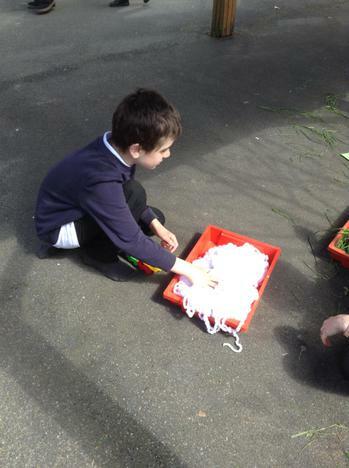 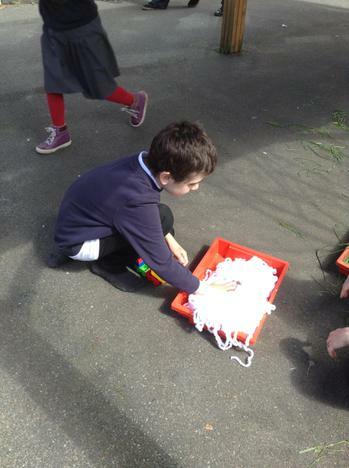 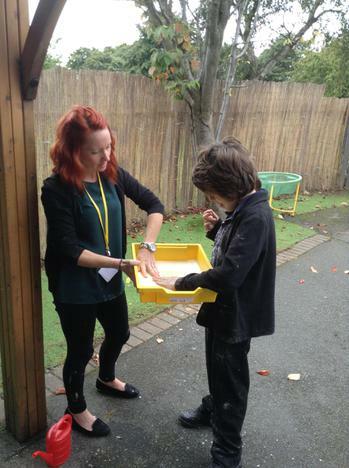 In science we have been learning about wet and dry. 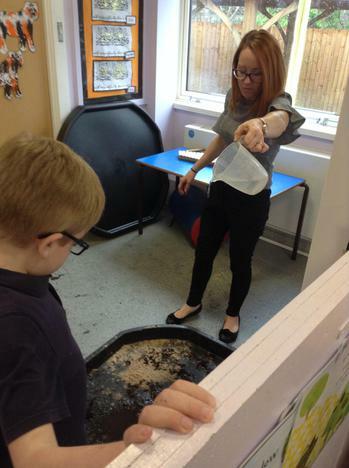 The children have really enjoyed exploring the differences between wet and dry materials and observing the changes when water is added to different substances. 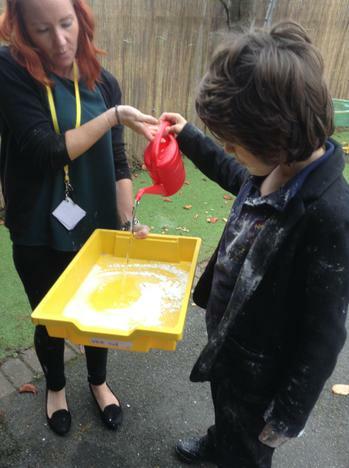 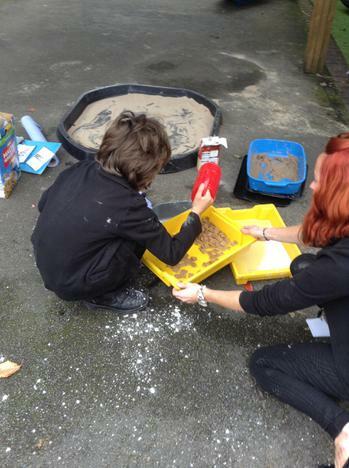 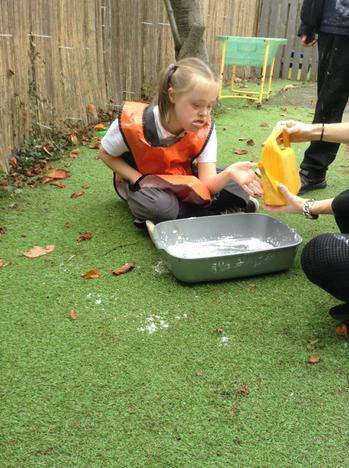 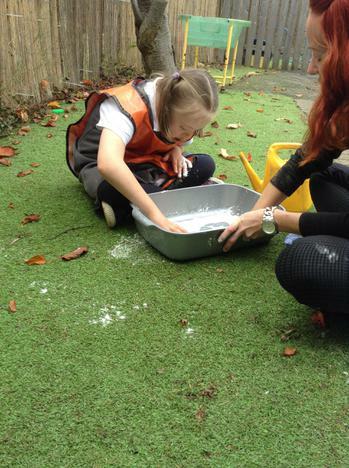 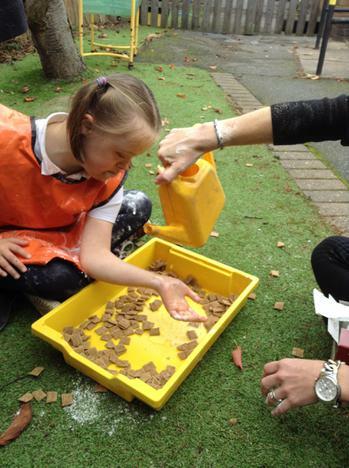 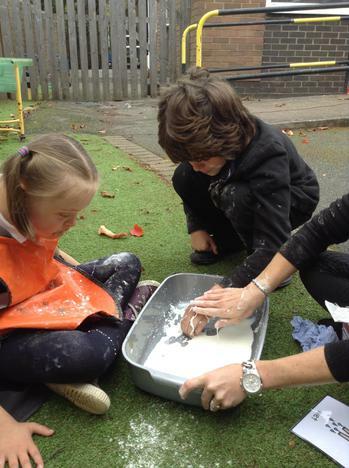 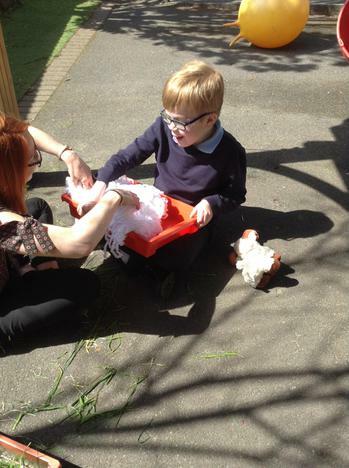 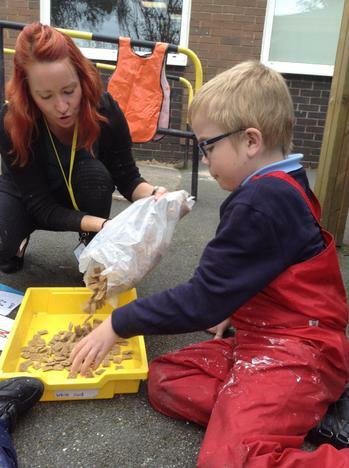 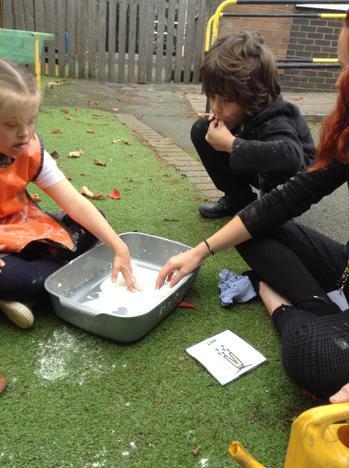 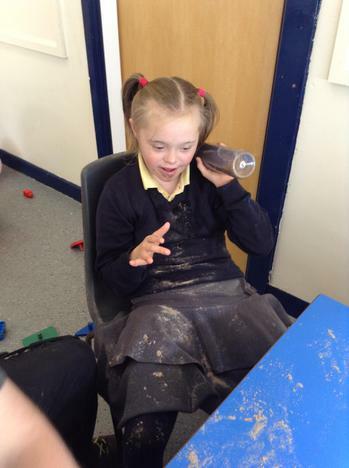 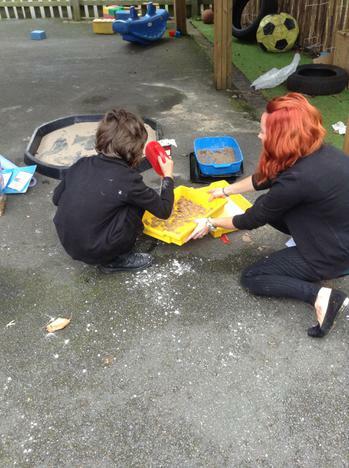 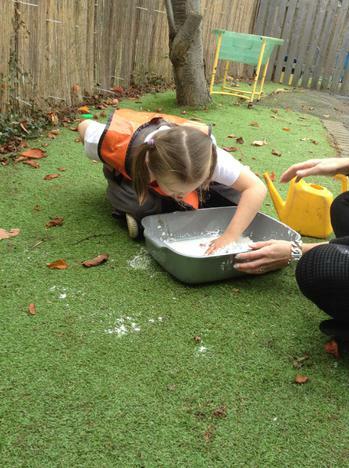 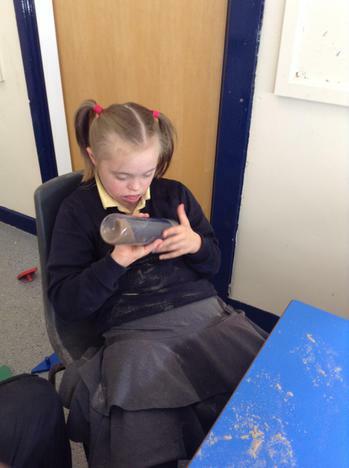 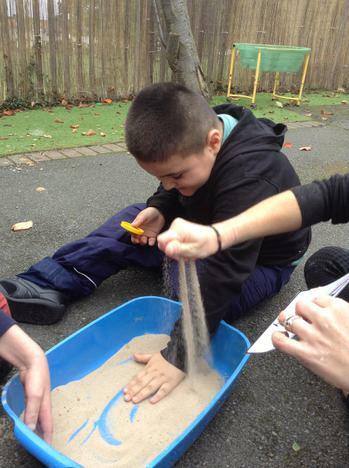 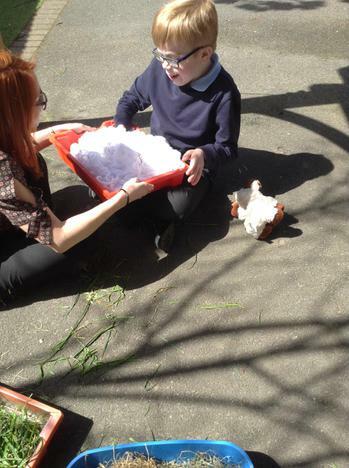 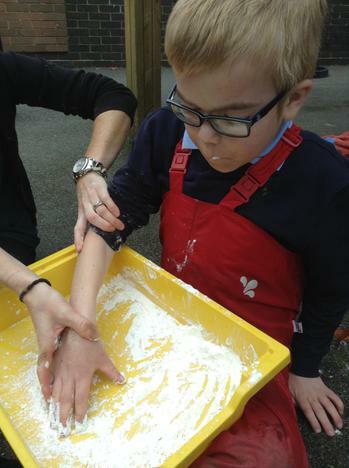 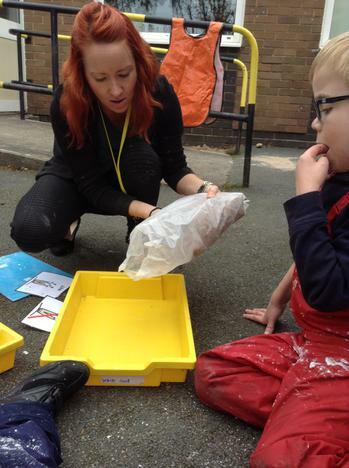 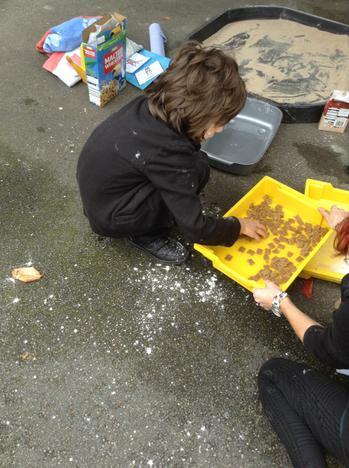 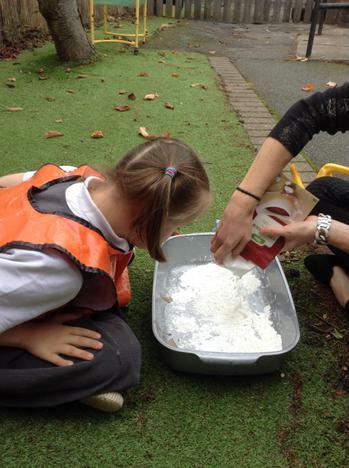 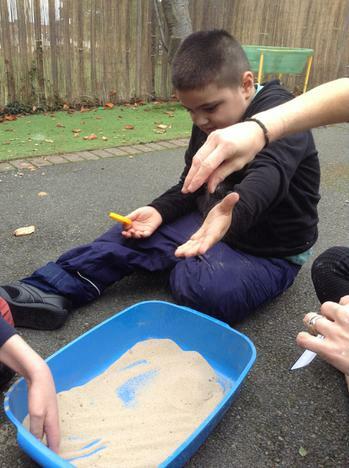 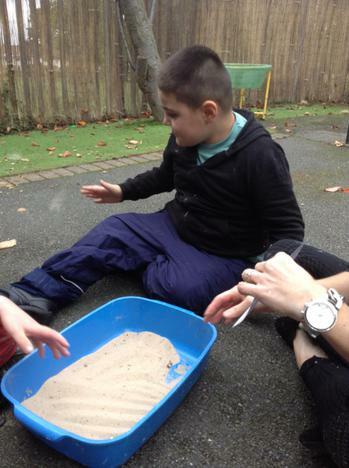 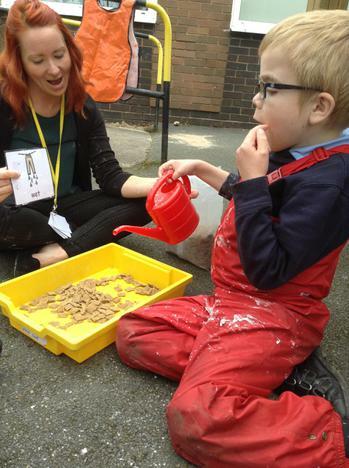 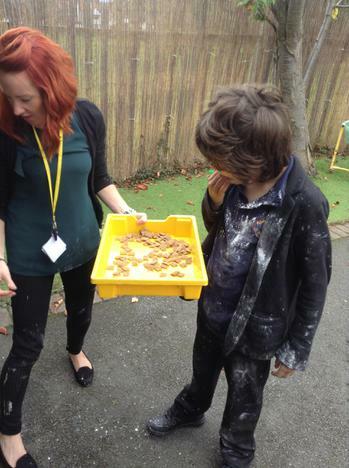 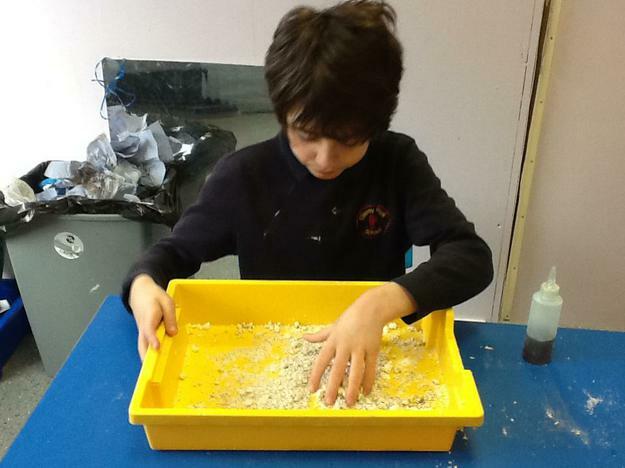 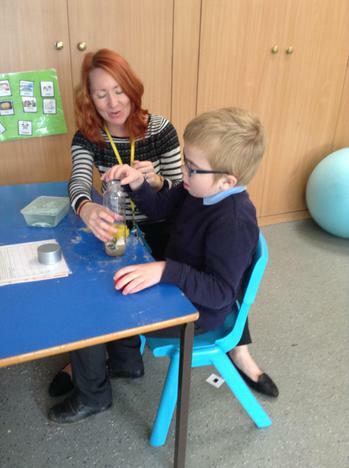 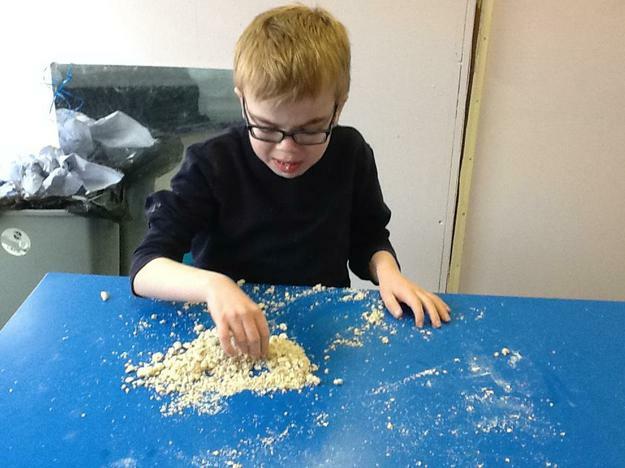 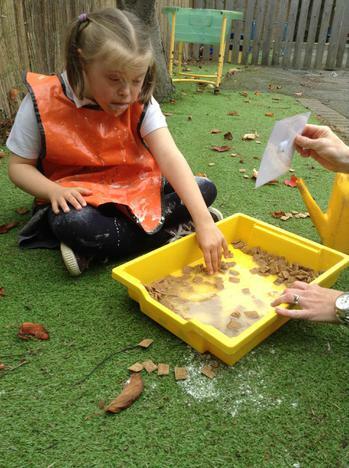 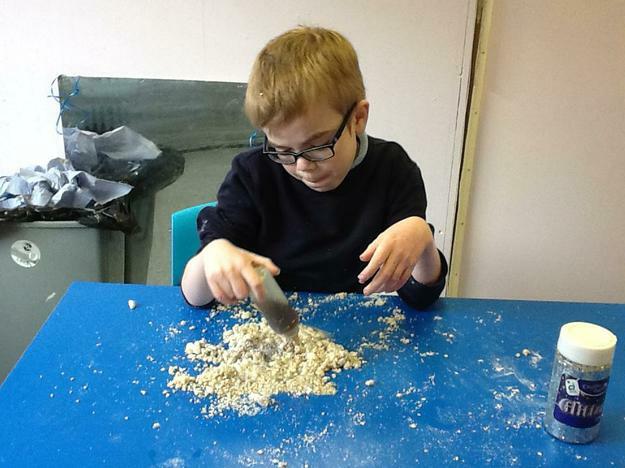 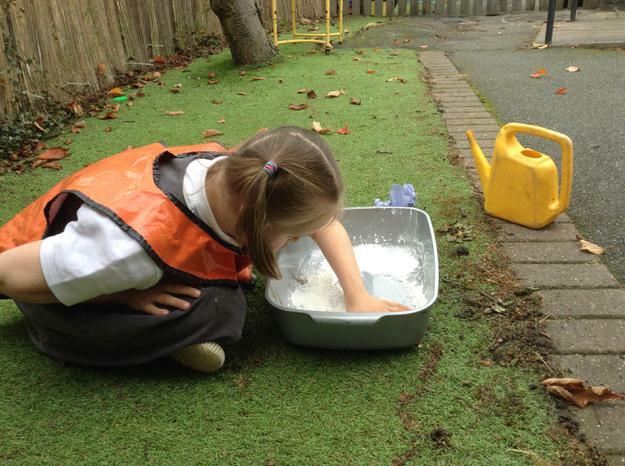 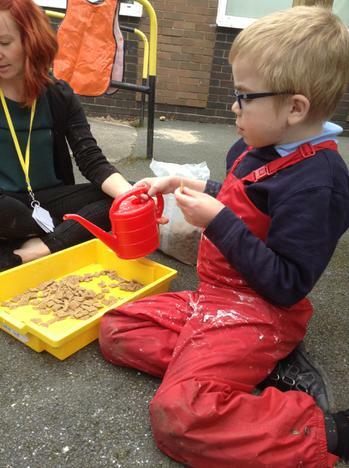 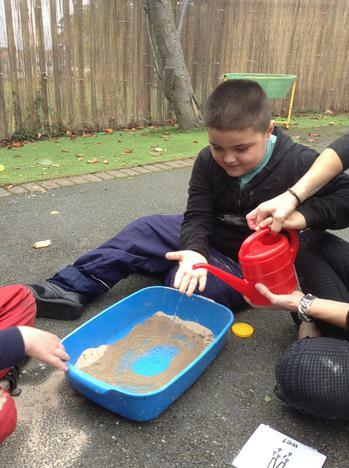 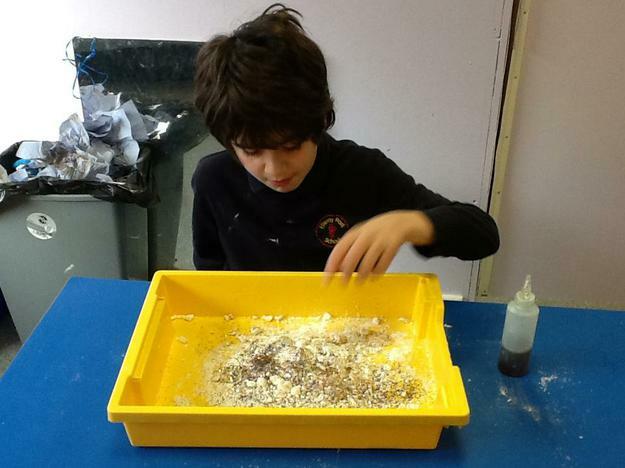 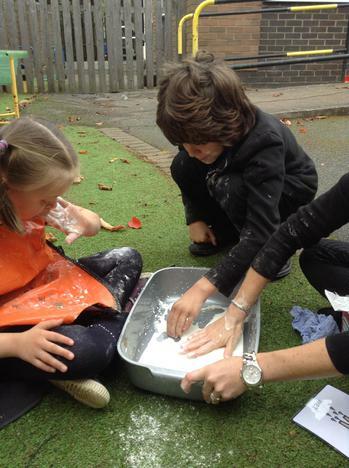 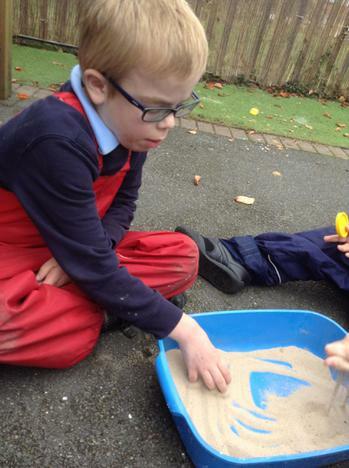 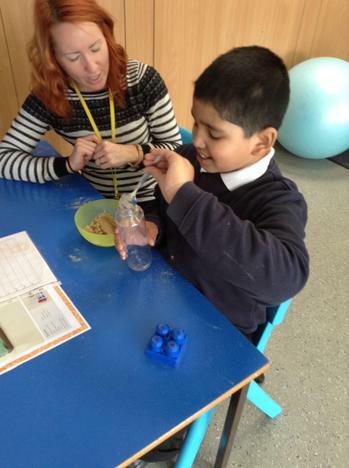 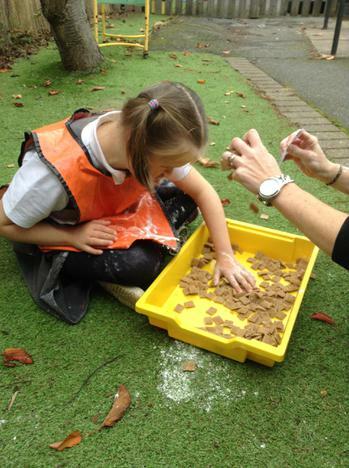 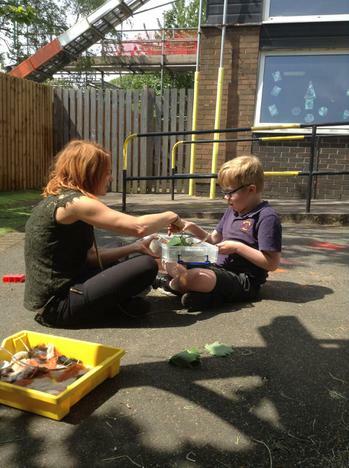 This week we explored wet and dry sand, cornflour and cereal. 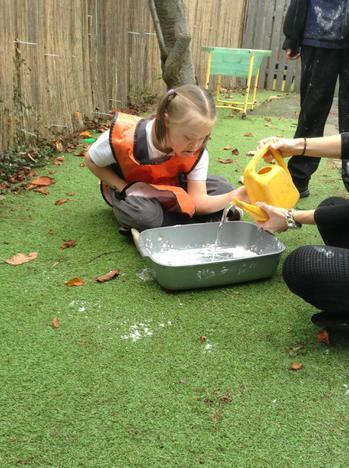 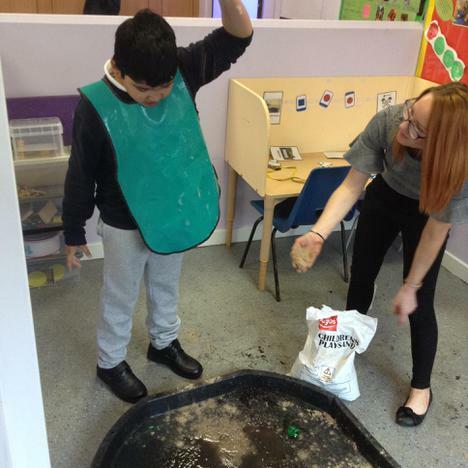 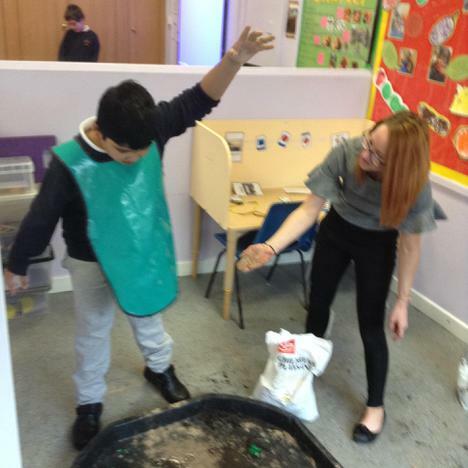 This was a very hands on activity and we all got very messy but it was lots of fun! 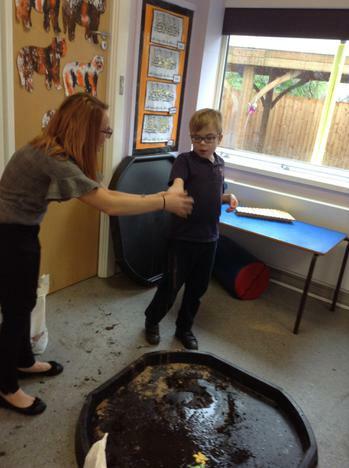 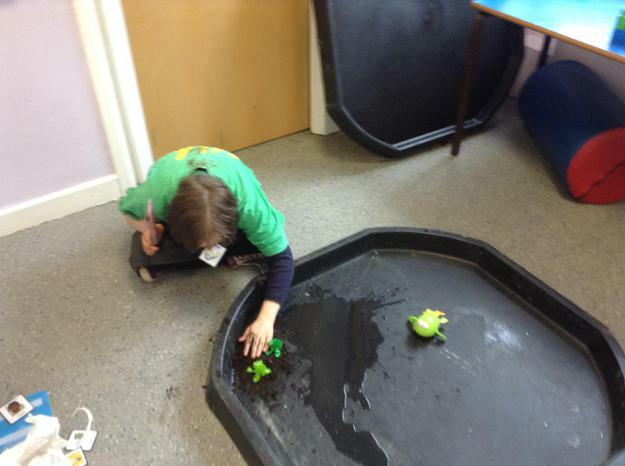 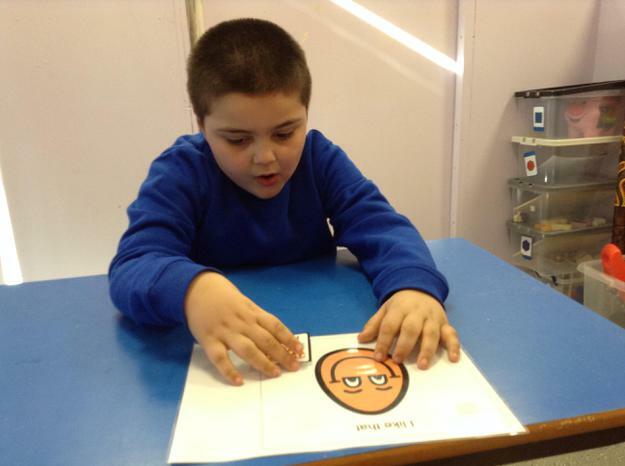 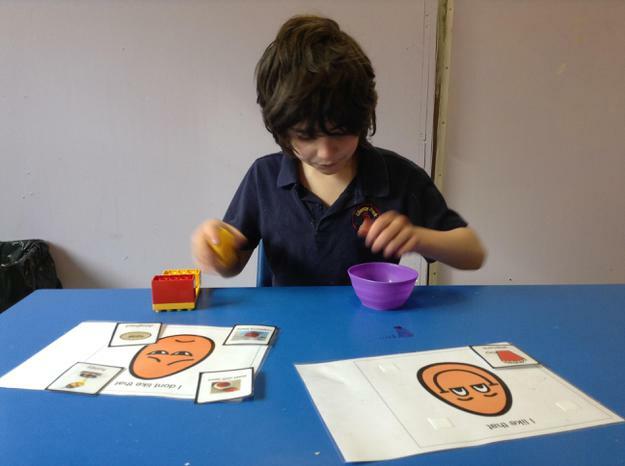 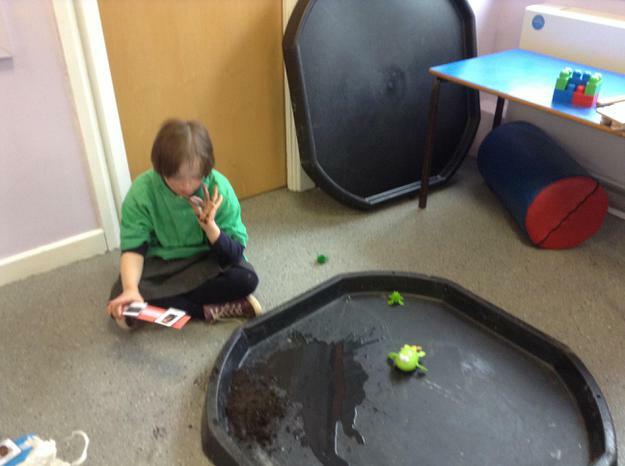 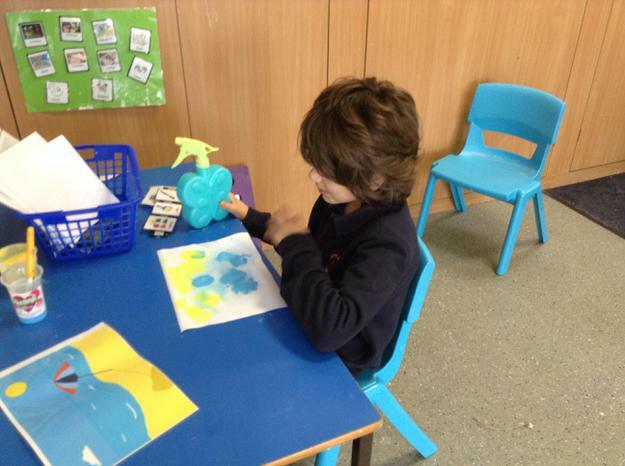 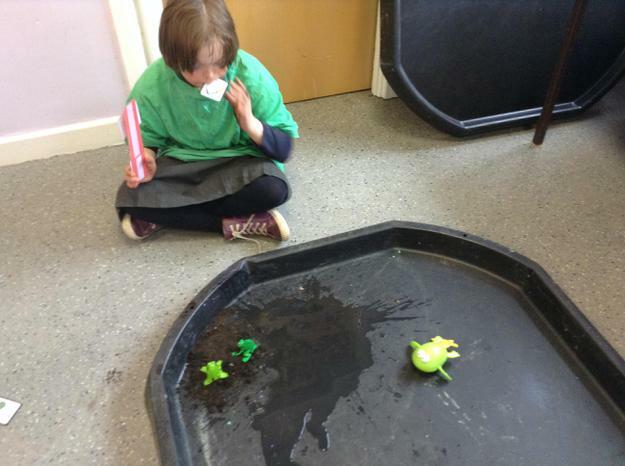 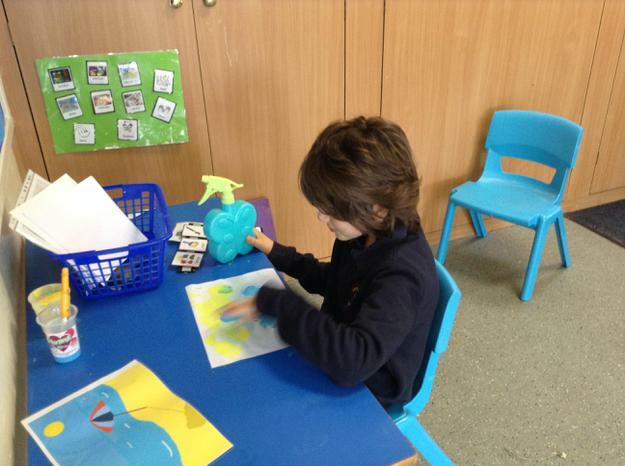 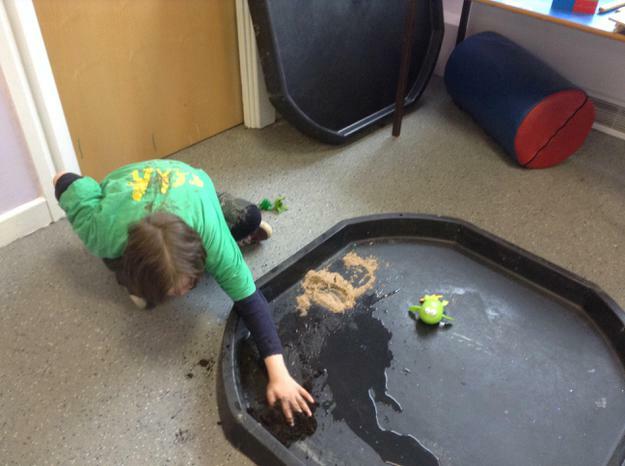 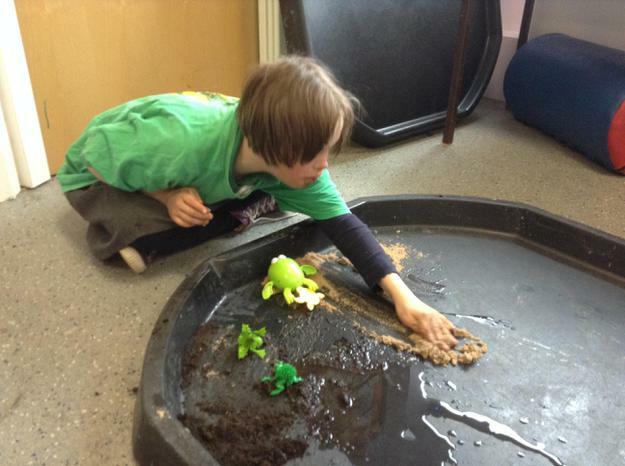 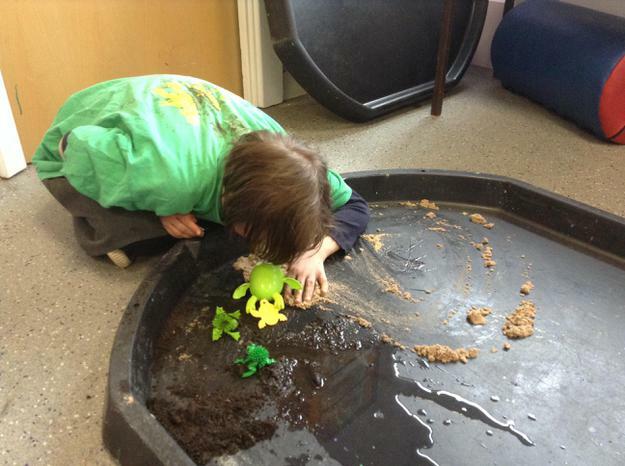 The children were able to communicate their preferences and they used symbols to show wet and dry. 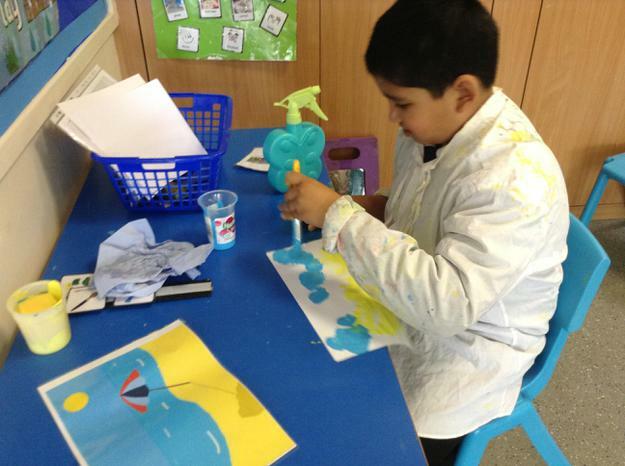 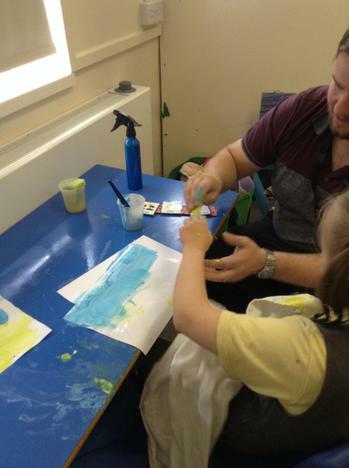 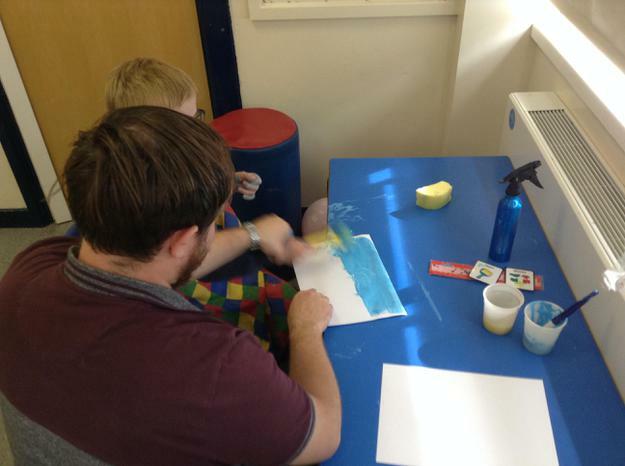 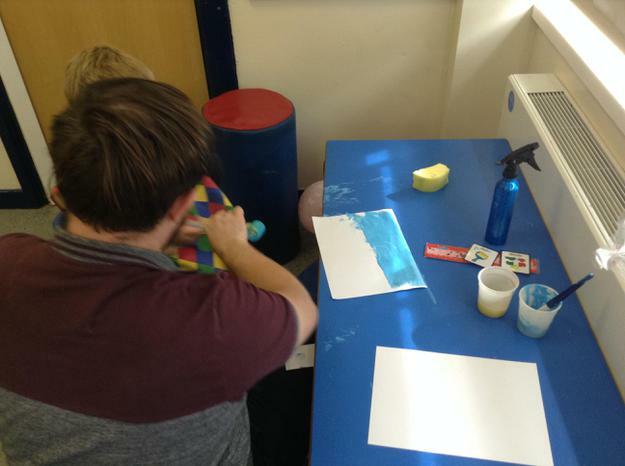 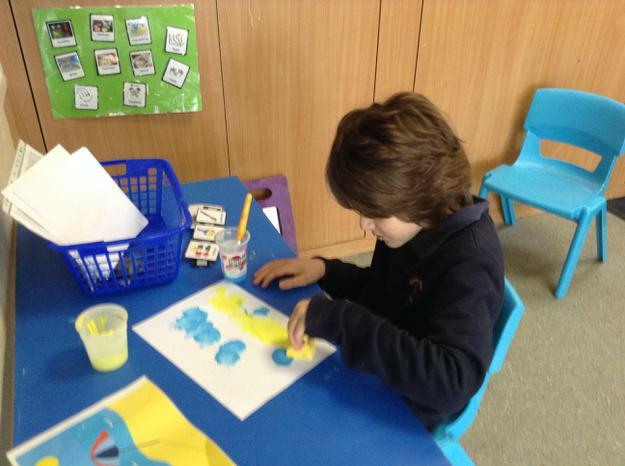 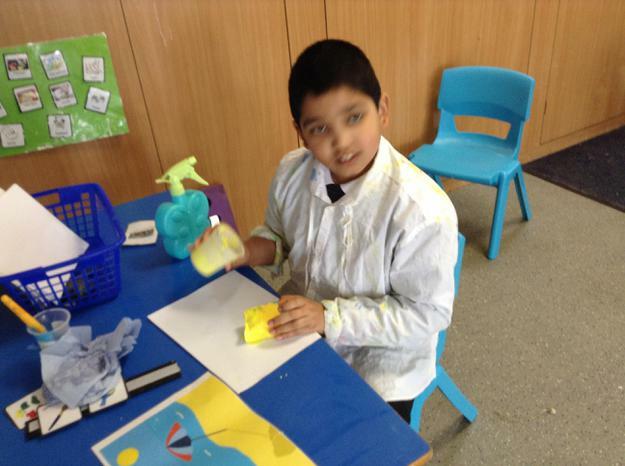 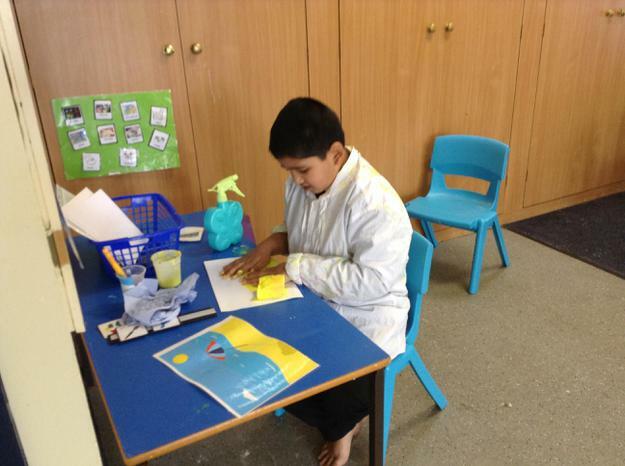 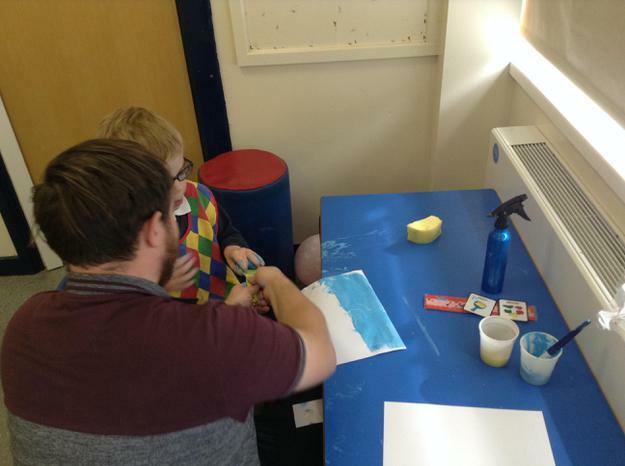 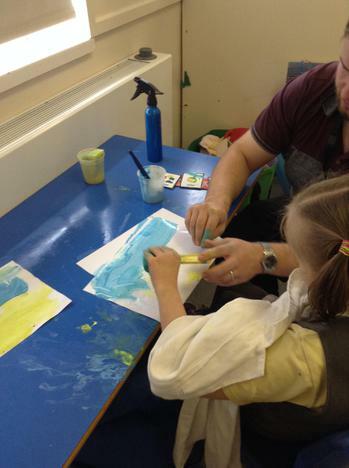 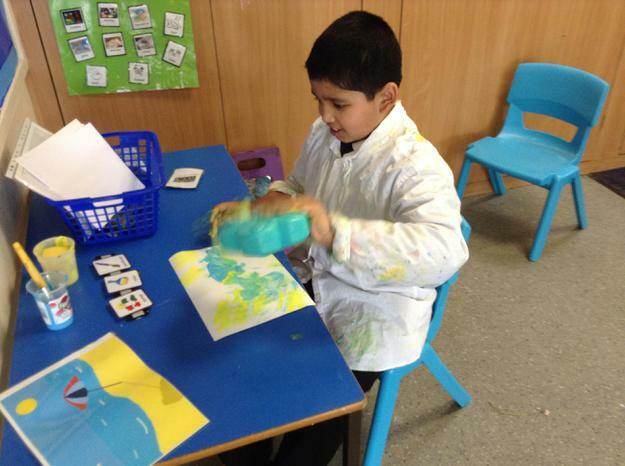 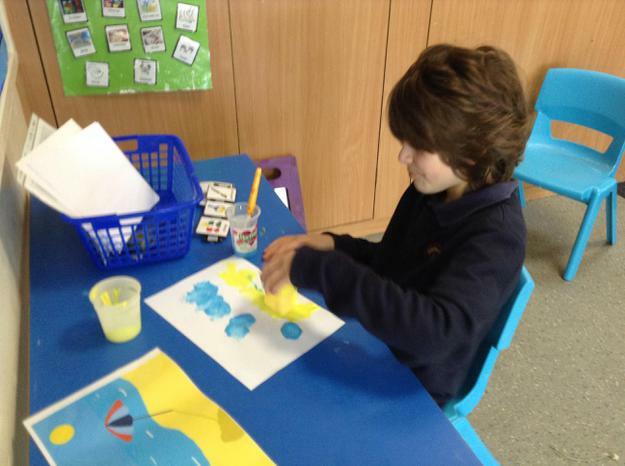 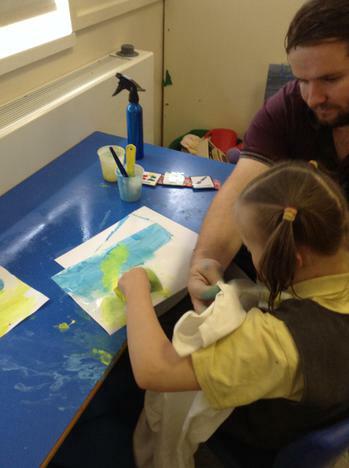 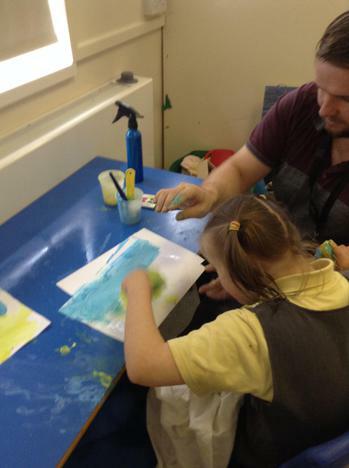 We also explored wet and dry through painting, we experimented by painting a seaside scene first onto dry paper and then wetting it with water to observe the differences. 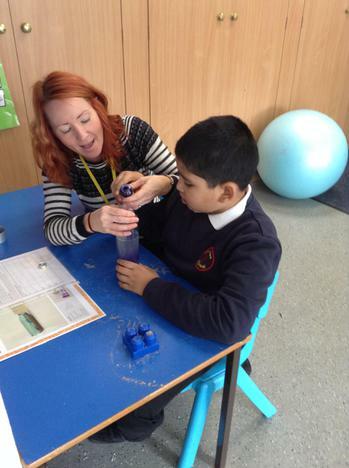 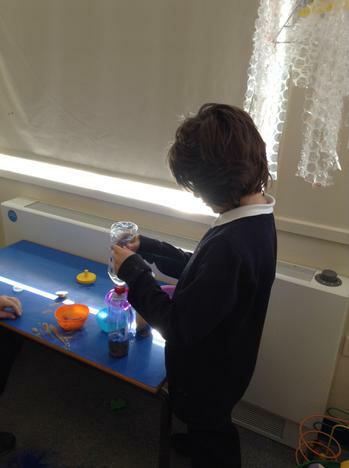 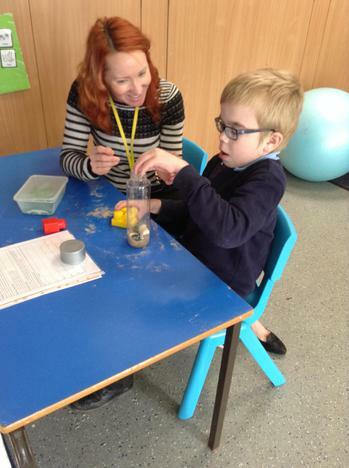 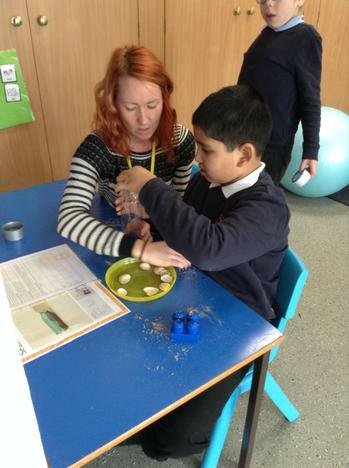 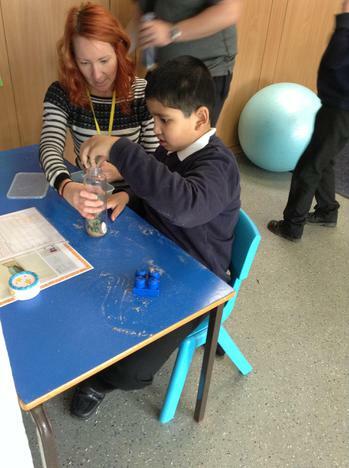 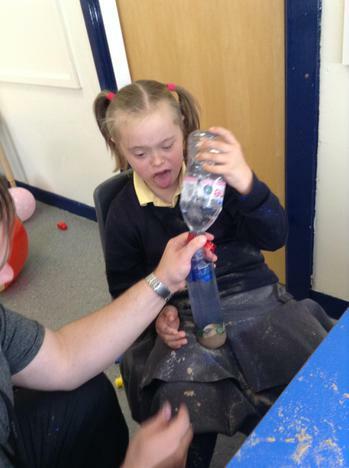 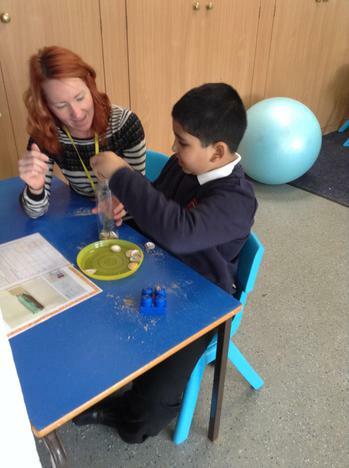 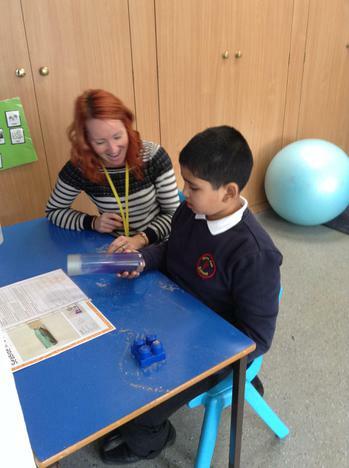 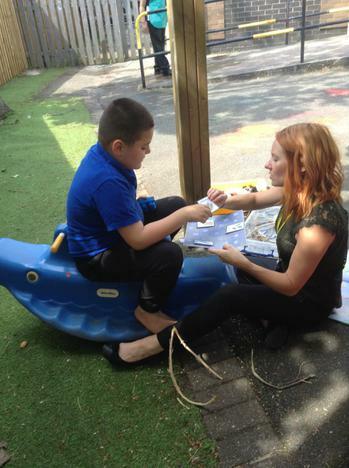 We also enjoyed a science session during which we explored different seaside materials such as shells, water and pebbles and used water bottles to create a seaside in a bottle. 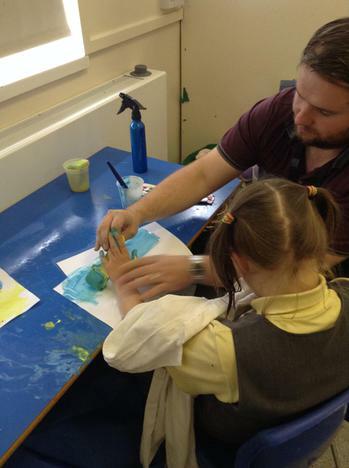 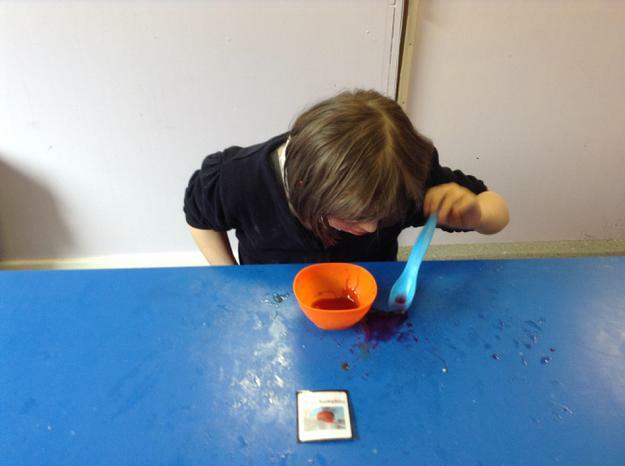 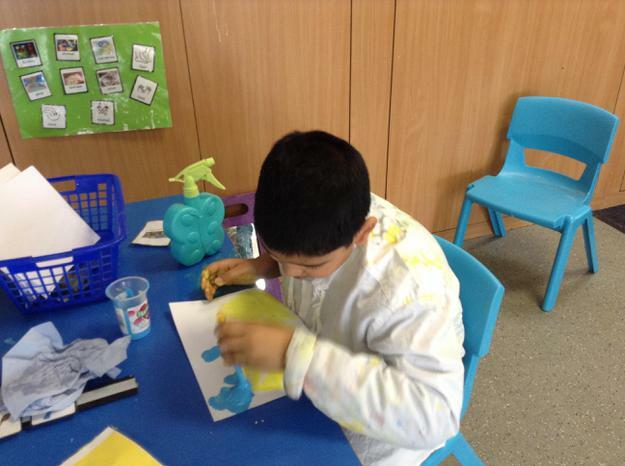 It was lots of fun adding the food colouring and glitter to make it turn blue.